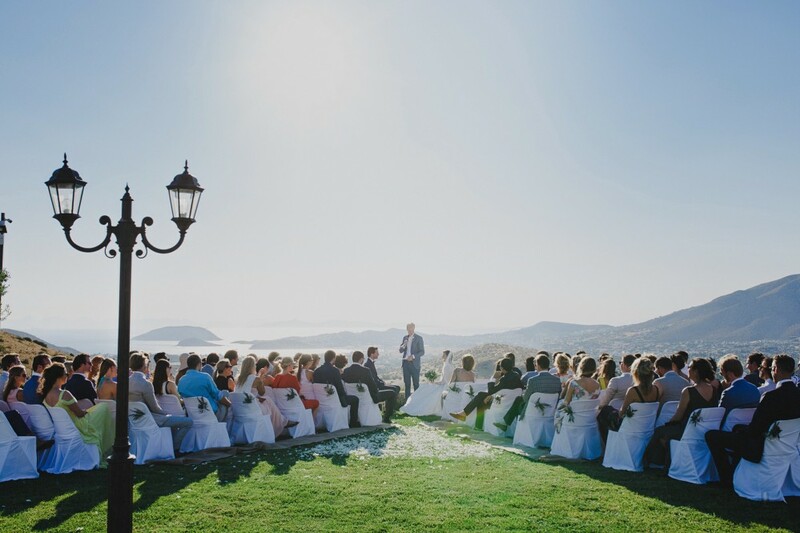 Whenever I think of Sounio, Athens, two things spring to mind: The temple of Poseidon and the summer wedding of Mary and Jan Wicher. 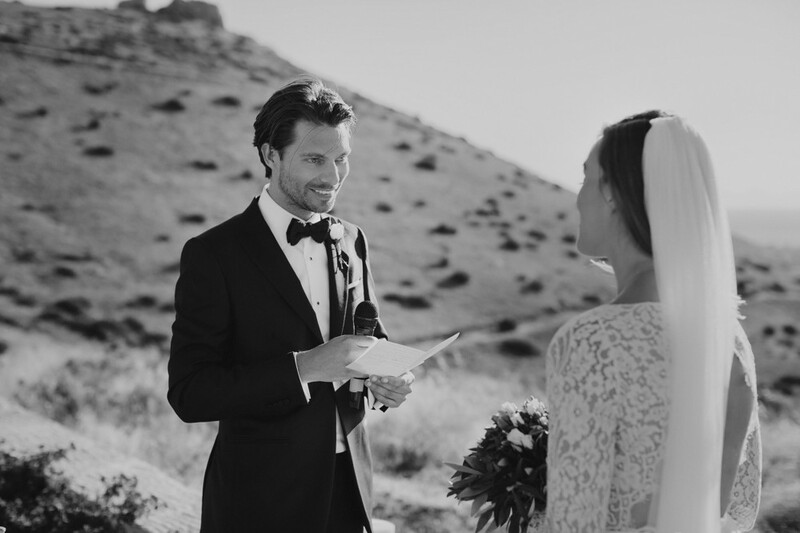 The couple met in Amsterdam and now live in Notting Hill, London. 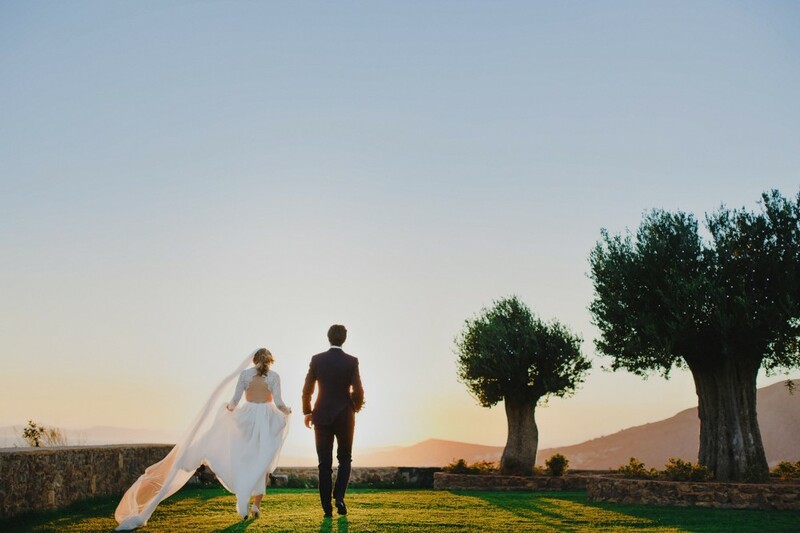 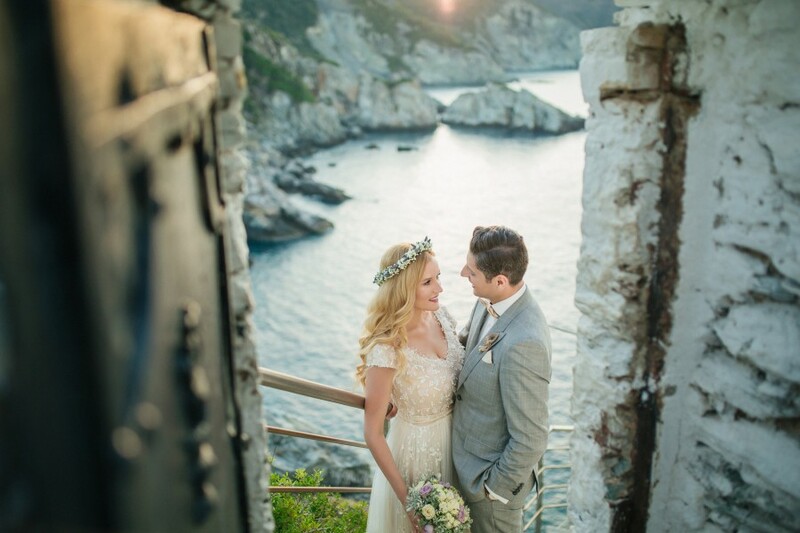 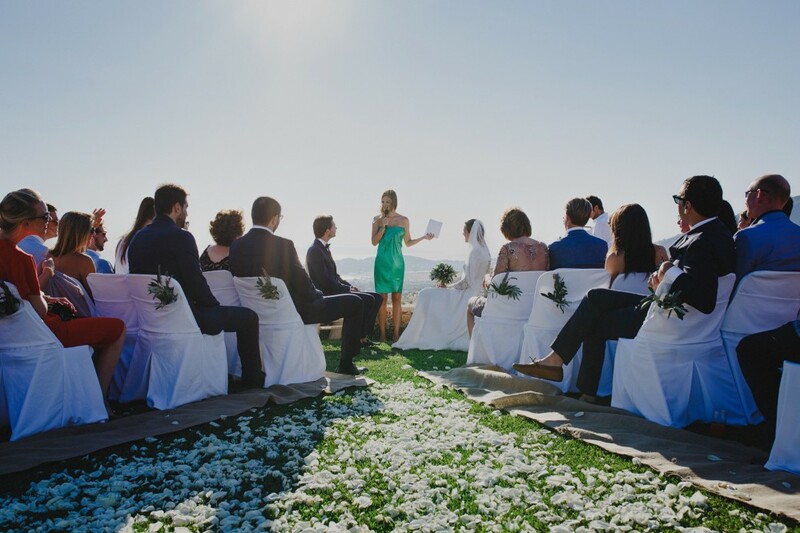 They chose to tie the knot in Chatzis Estate, as they fell in love with the breath-taking combination between mountain and sea which the area offers. 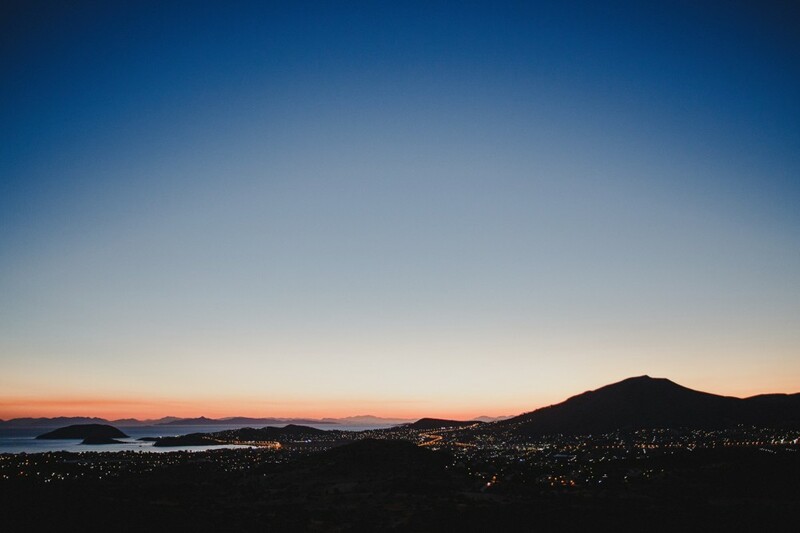 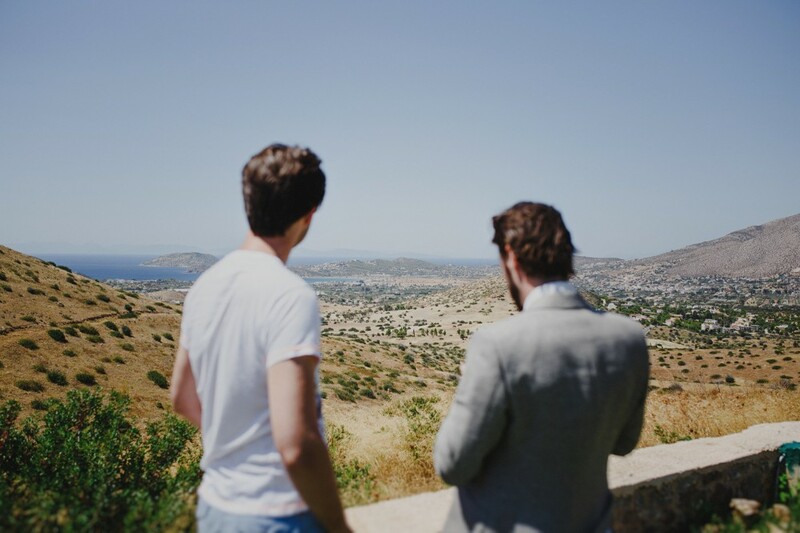 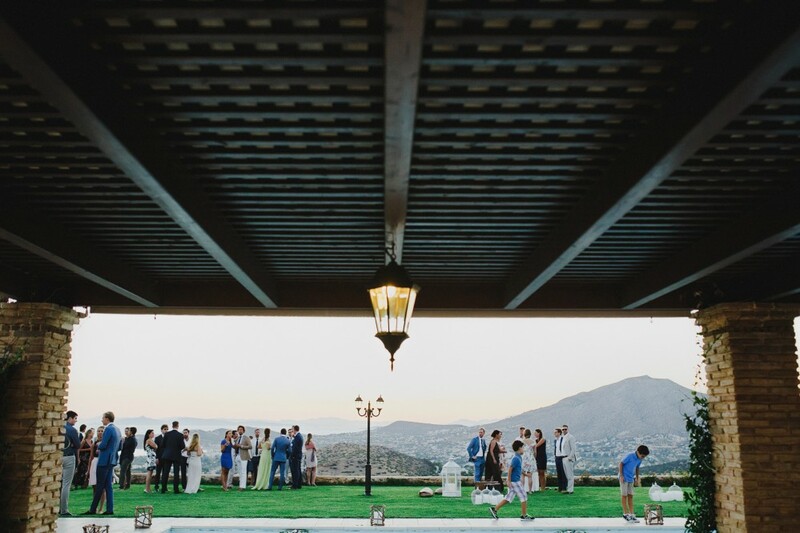 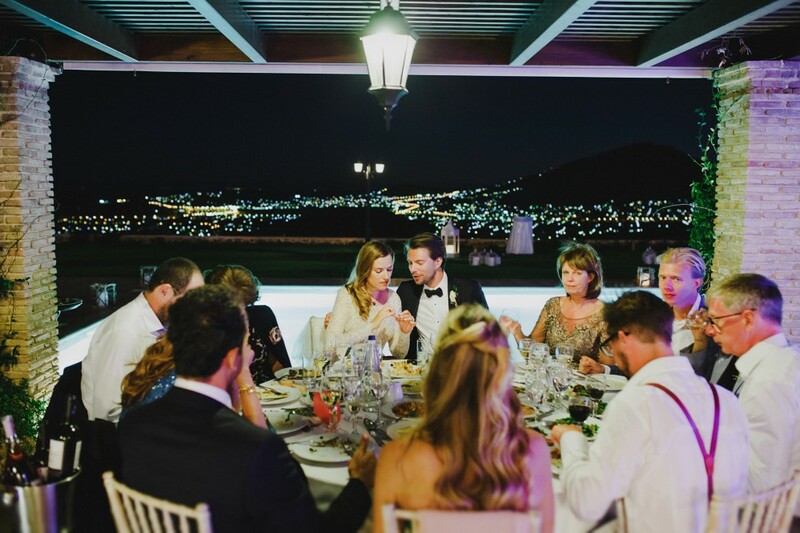 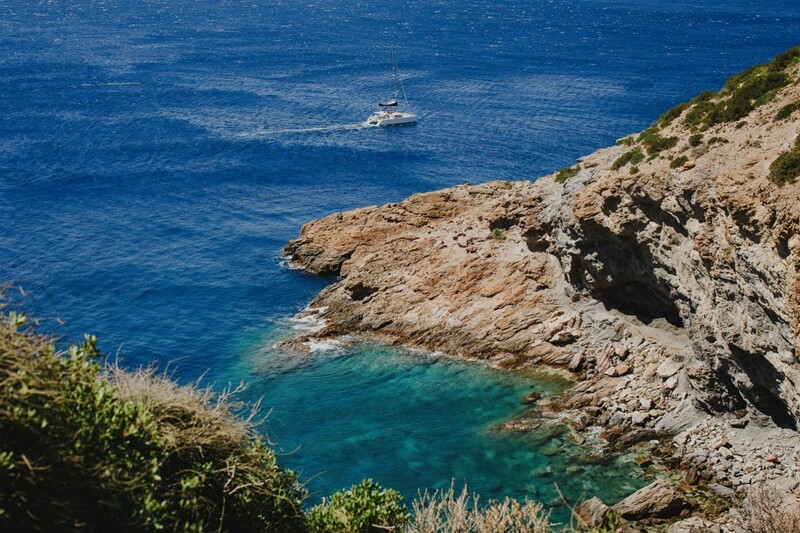 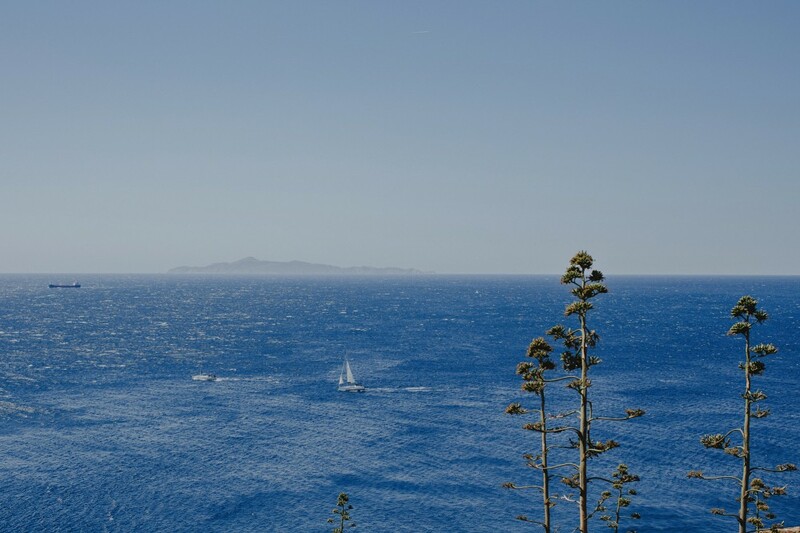 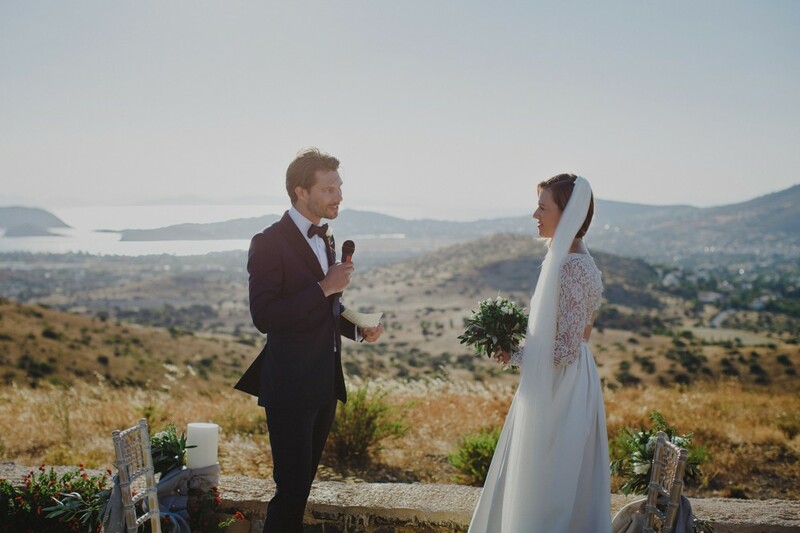 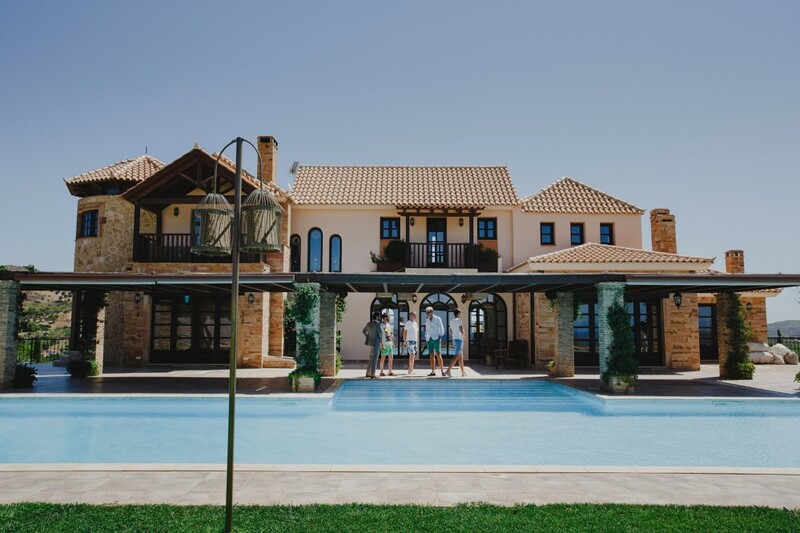 This was an excellent decision, as the venue is famed for its views over the Aegean Sea and remains a popular choice for local and foreign couples alike. 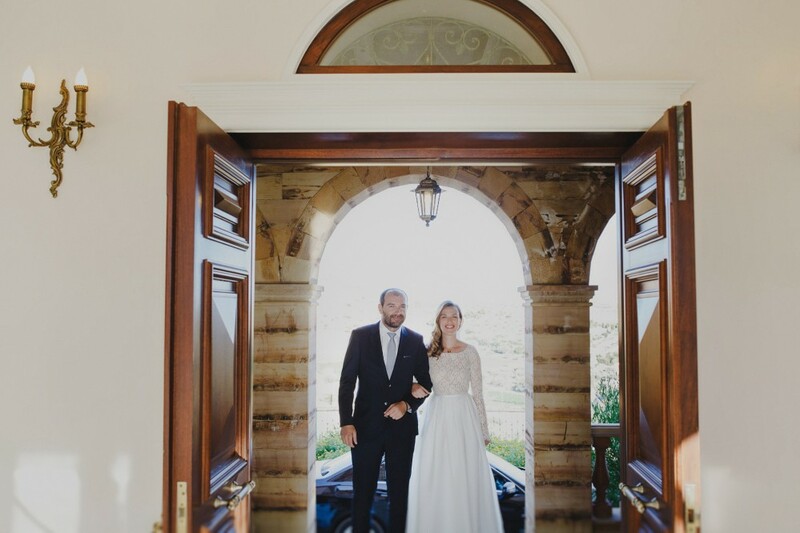 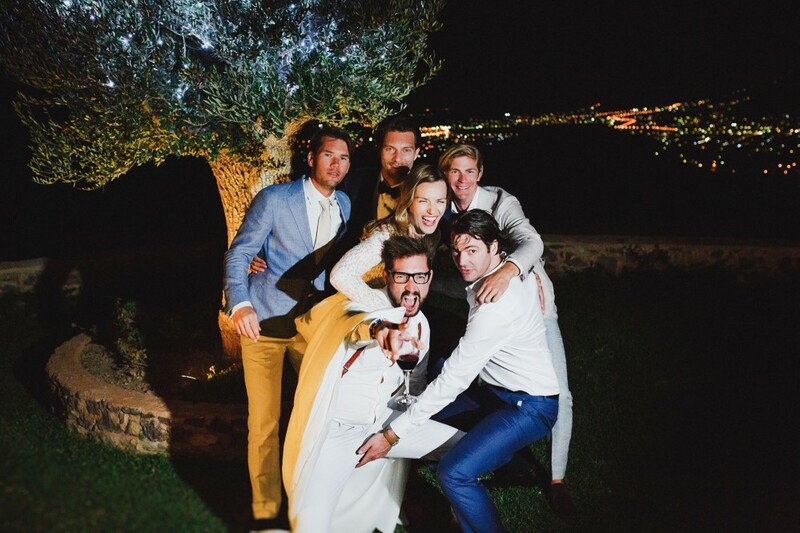 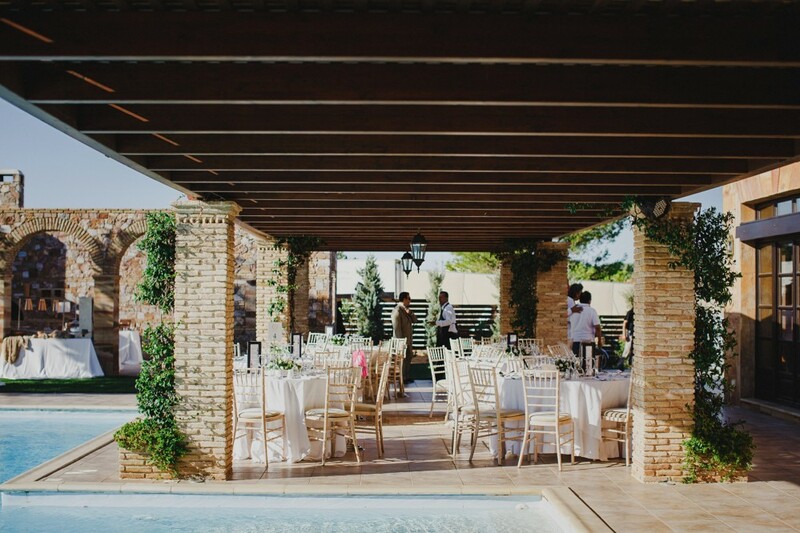 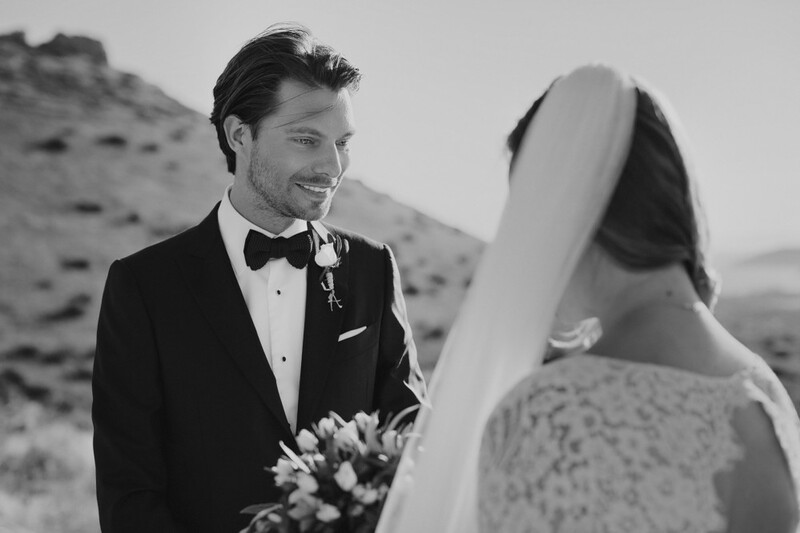 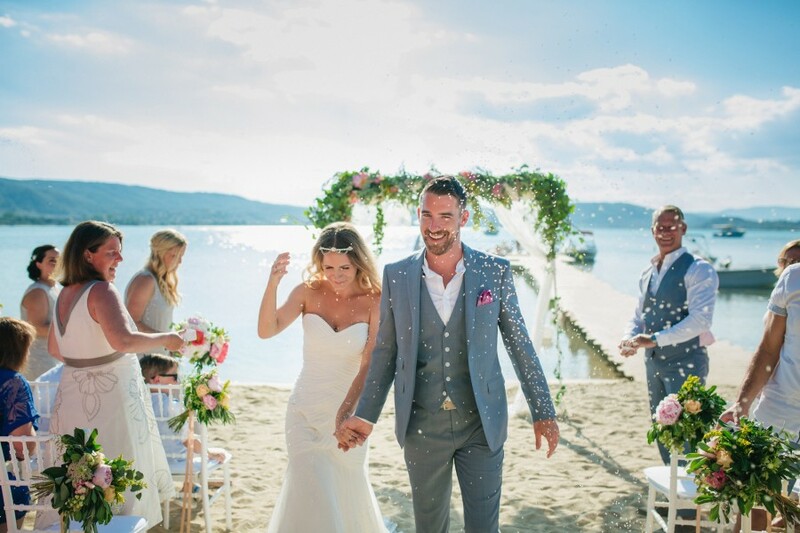 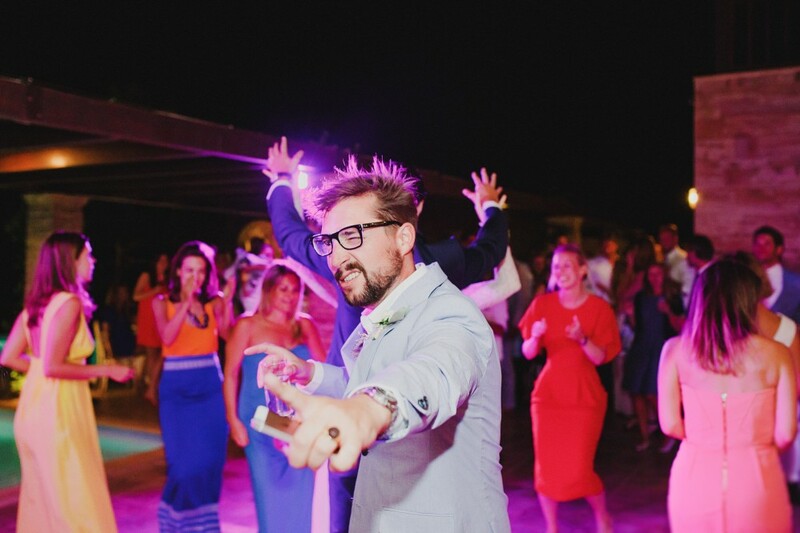 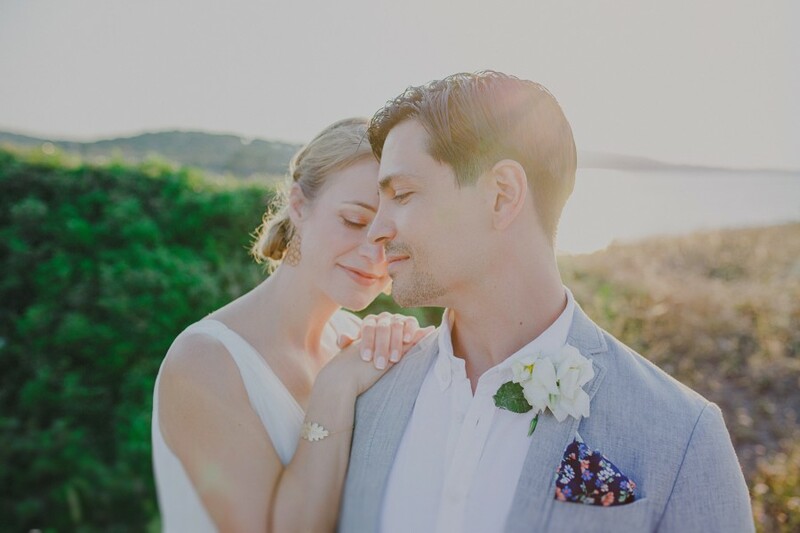 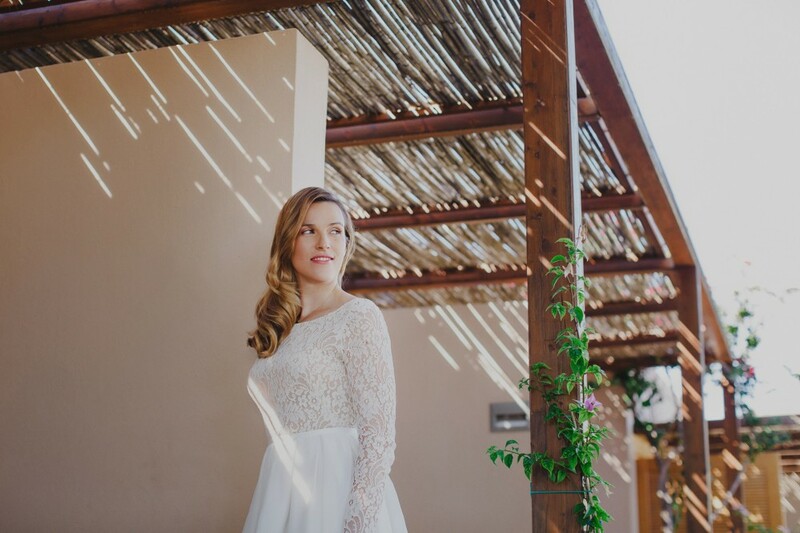 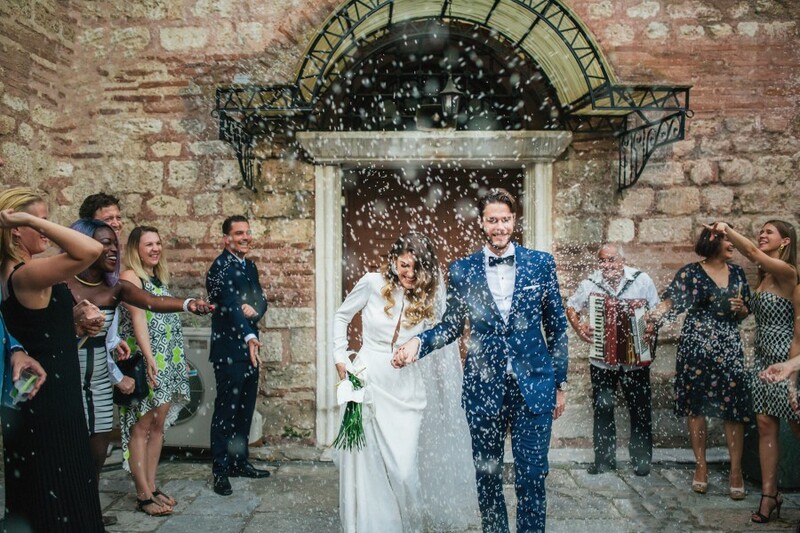 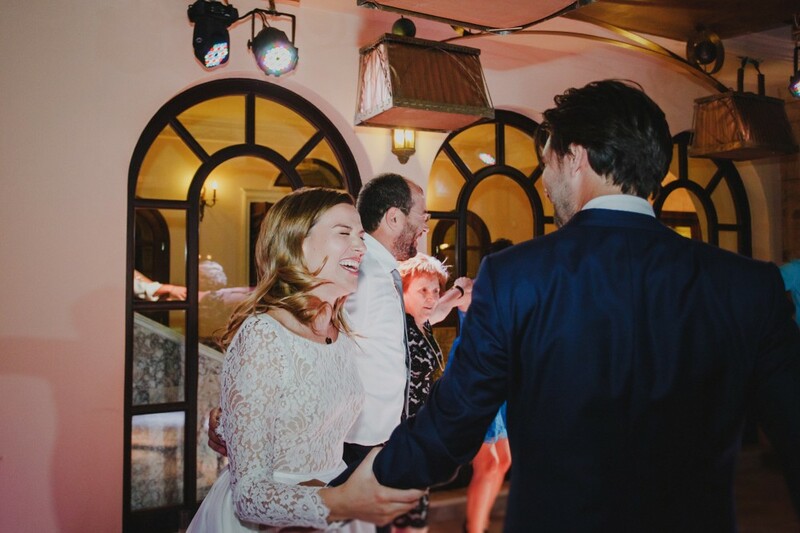 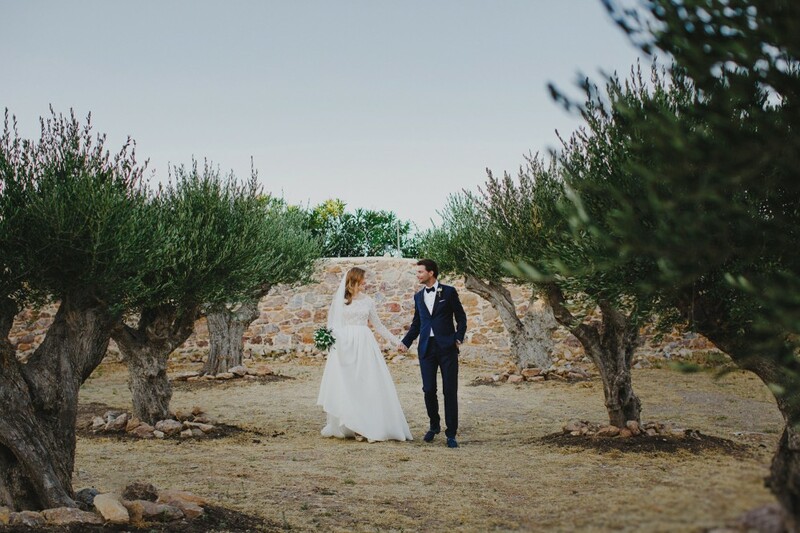 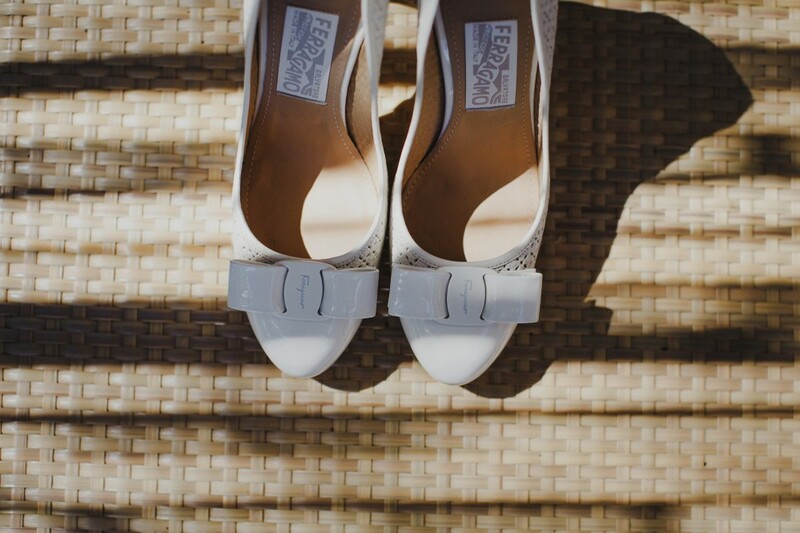 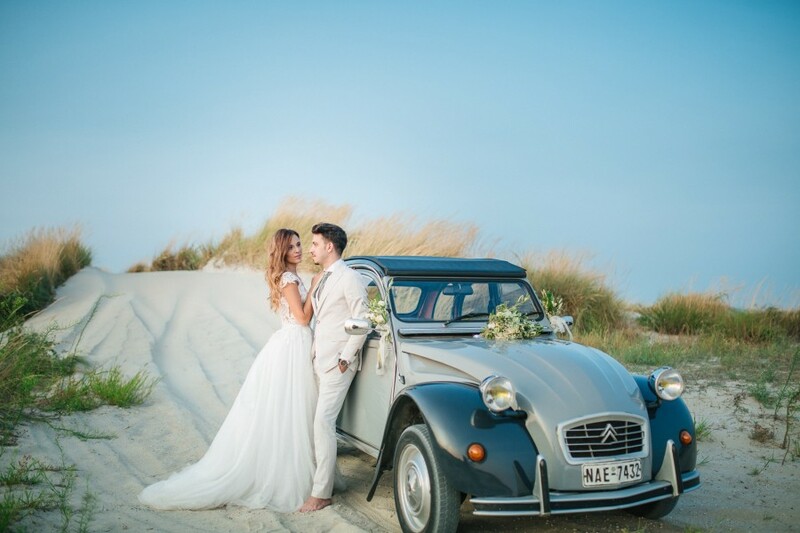 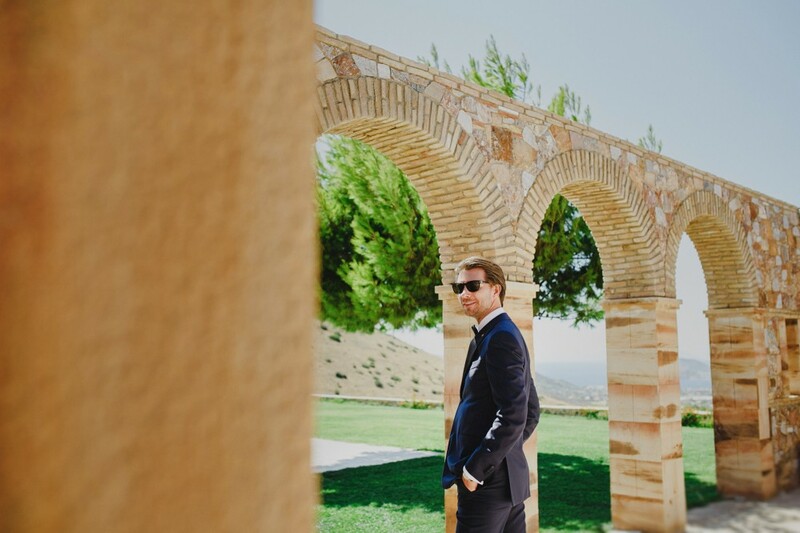 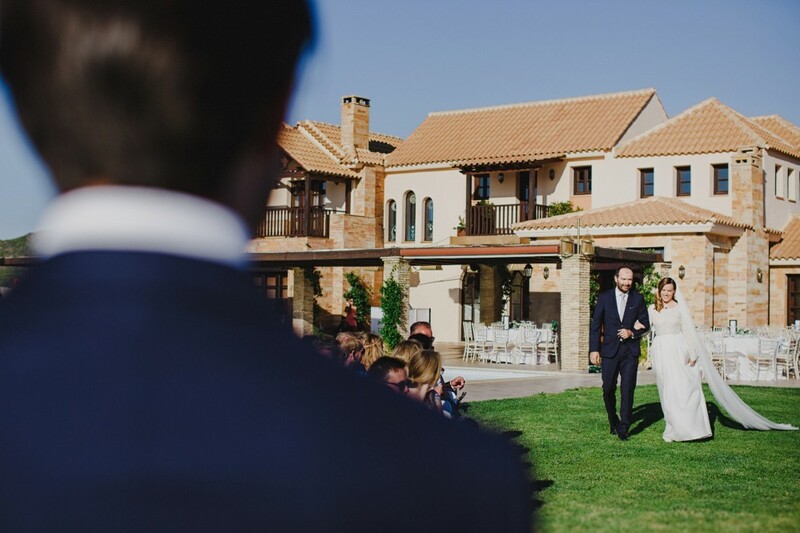 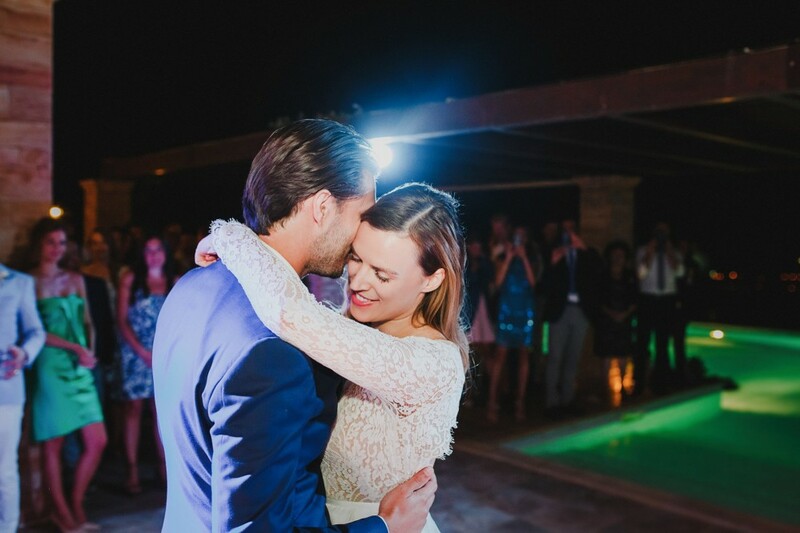 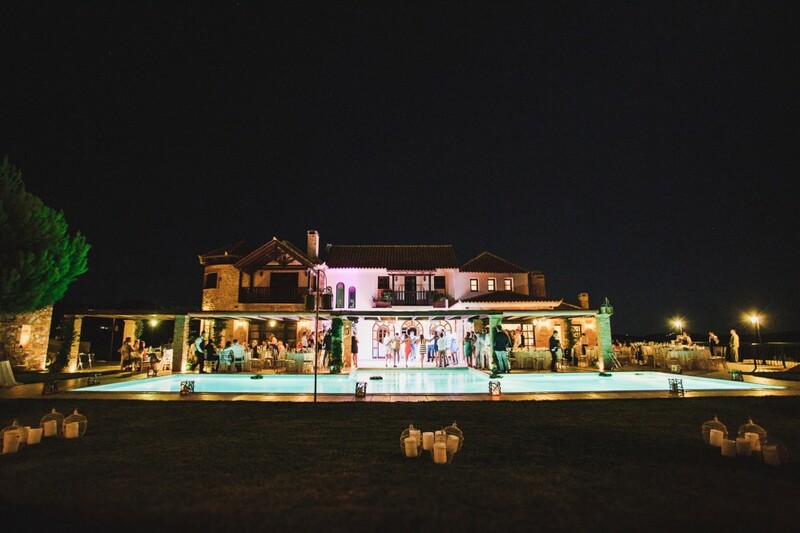 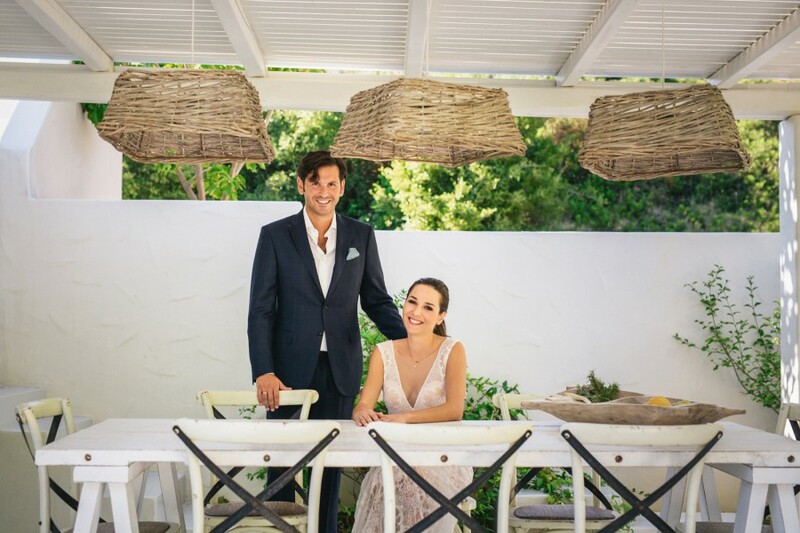 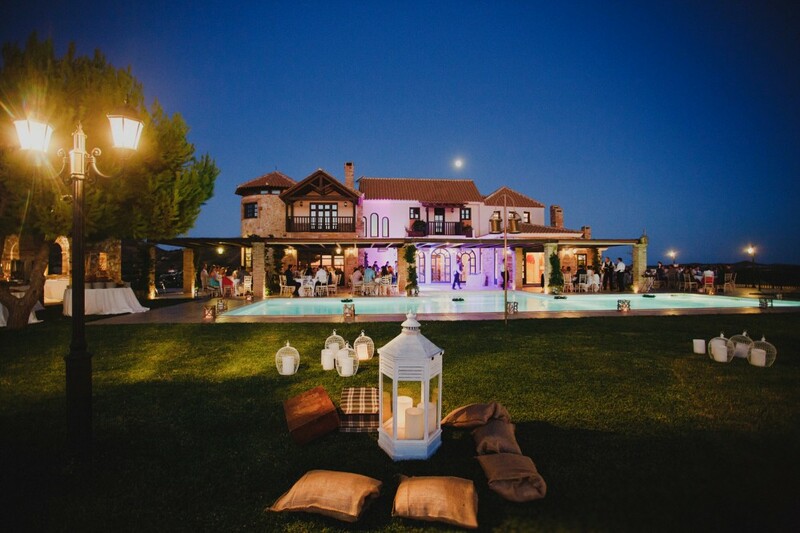 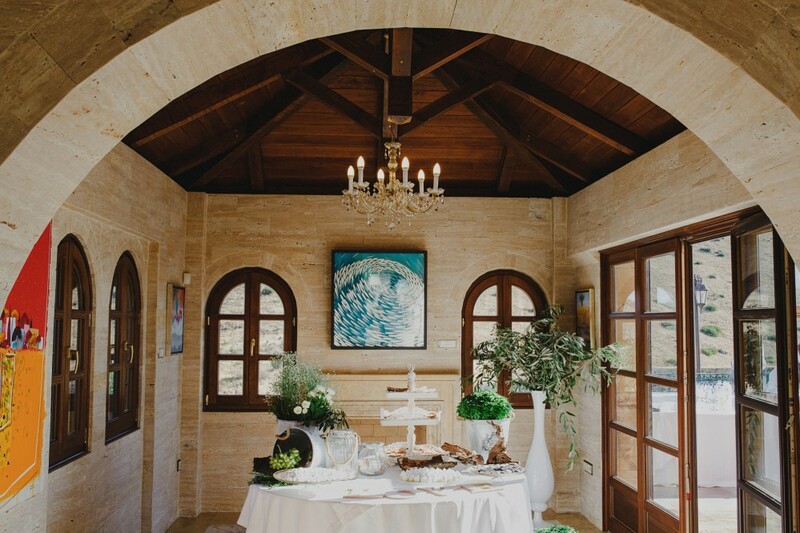 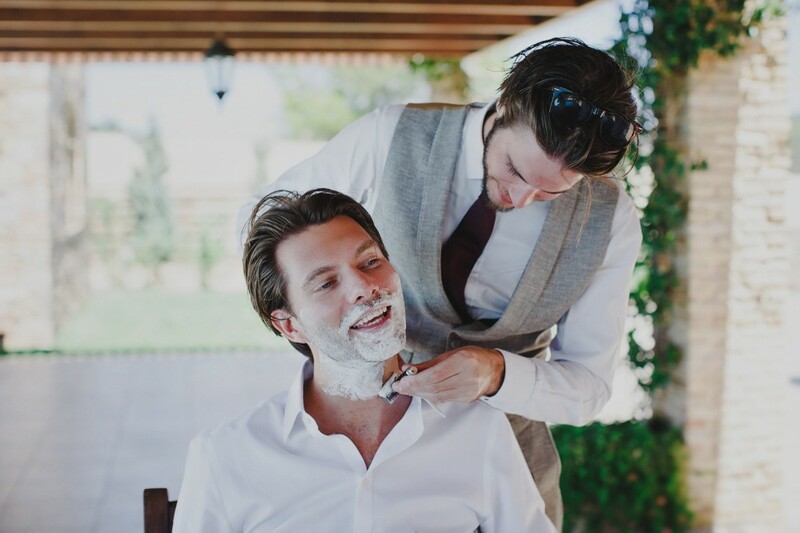 The wedding was designed by Mya Wedding and planner Helena Paleologou, who made sure to enrich the natural beauty of the summer setting with carefully selected decoration. 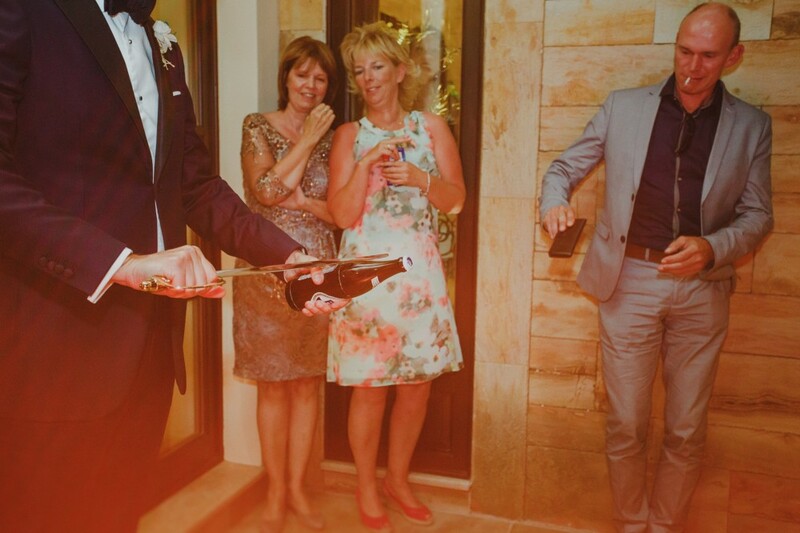 The couple, both wine lovers, personally chose the wine list and requested this element to be woven in the fabric of the wedding theme. 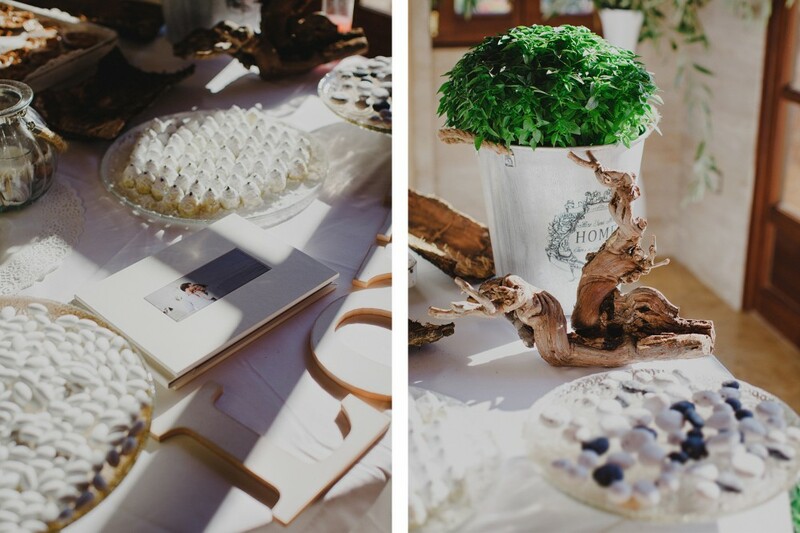 Baby breath, white roses, olive branches were combined with vine leaves and green grapes to bring this to life. 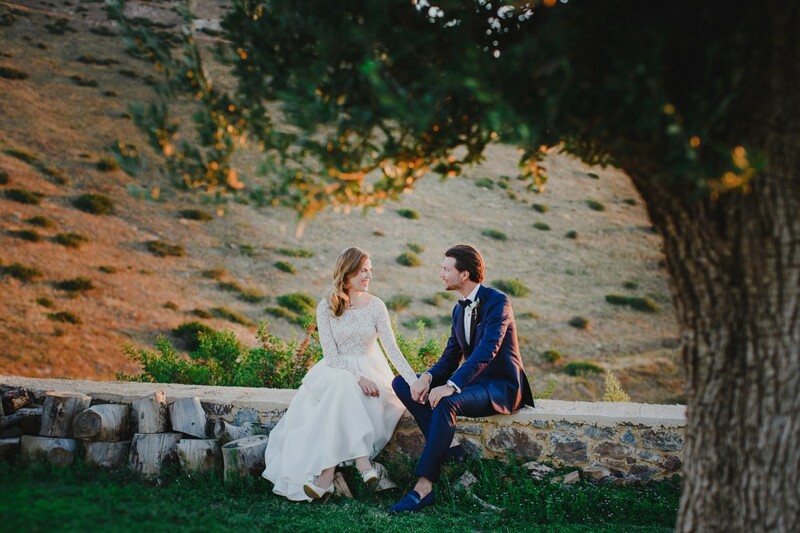 The golden wheat fields, the bright sunset, the blue of the sea, the scents and the imposing wedding venue- an Ottoman style villa- plus such a lovely and positive couple were all a wedding photographer could really ask for! 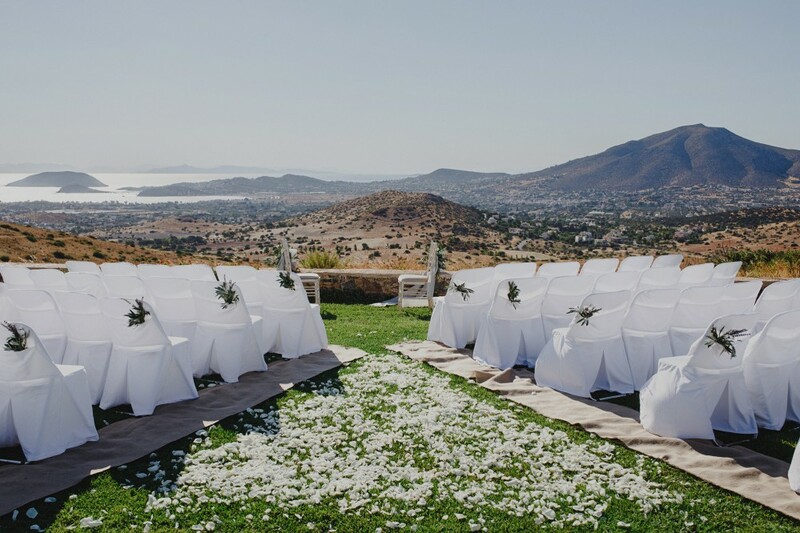 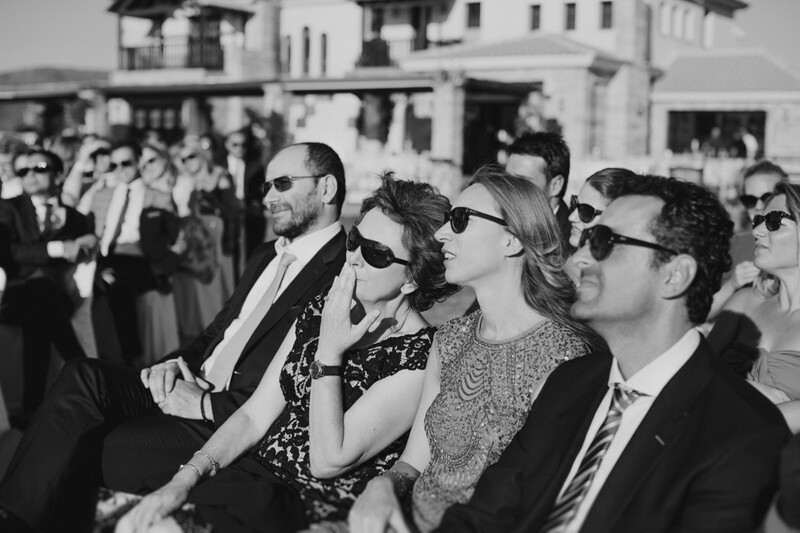 The guests were invited to join in the fairy-tale vibe and soak in the beautiful views, relaxing on specially designed chairs provided for the attendance of the ceremony. 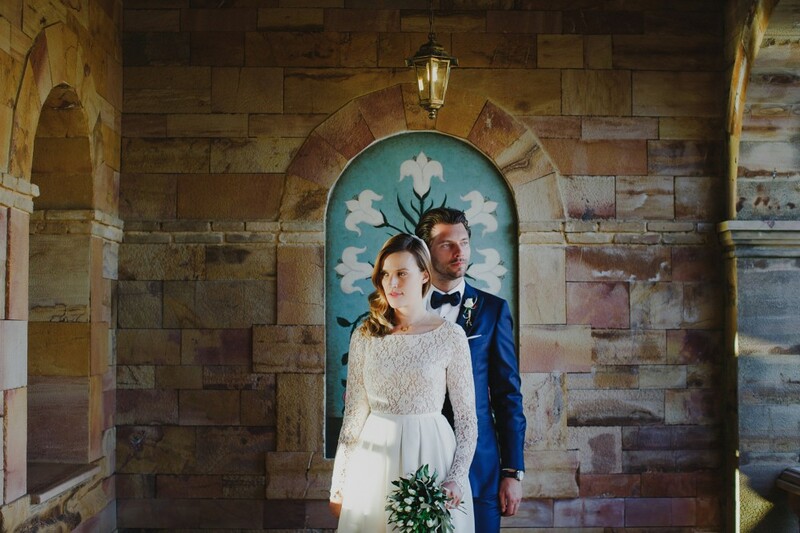 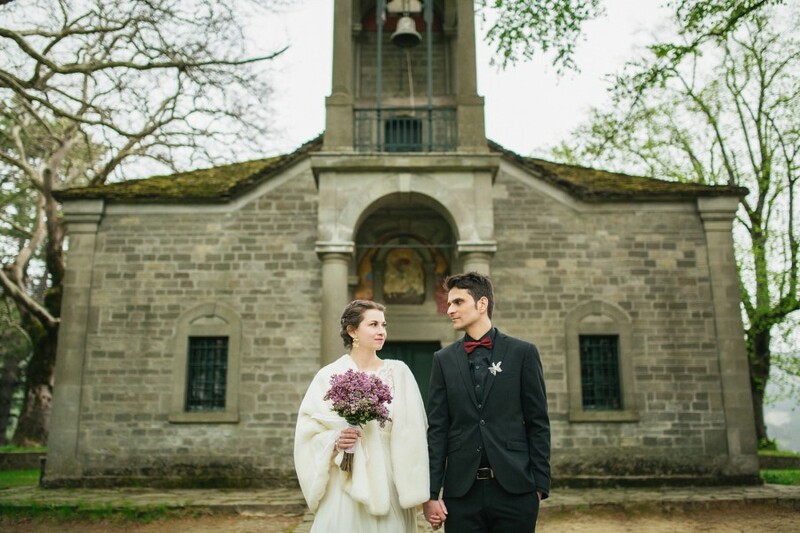 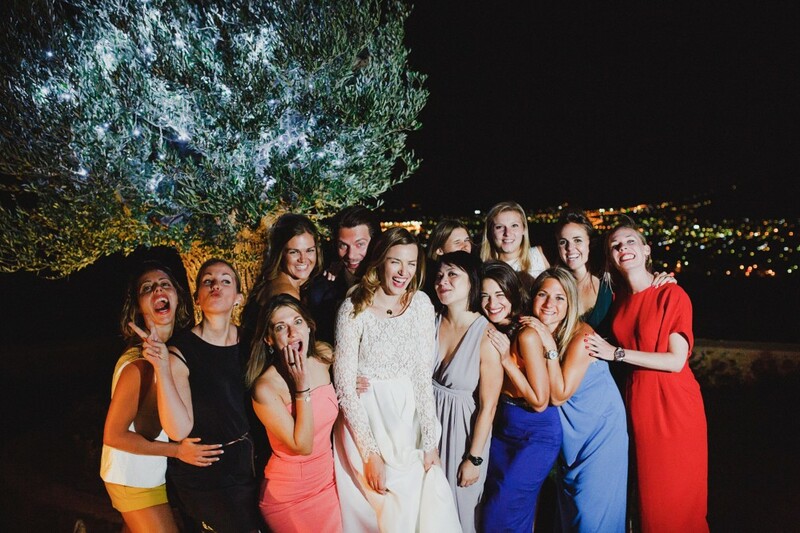 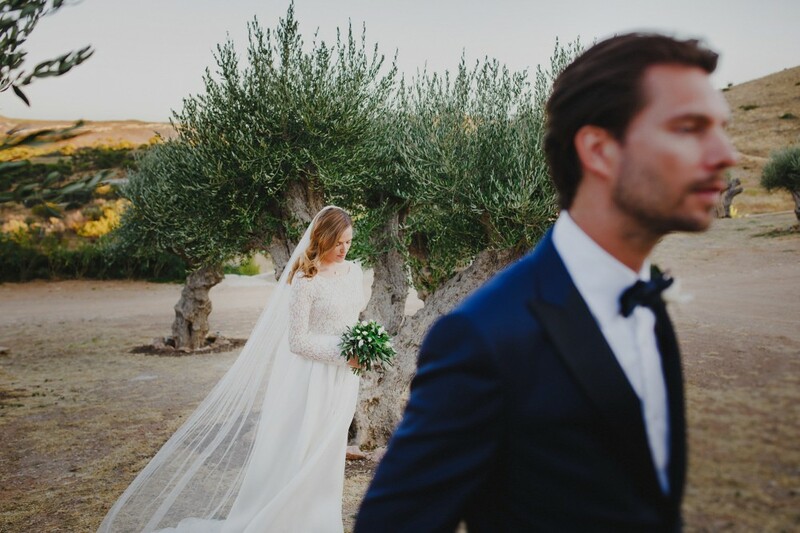 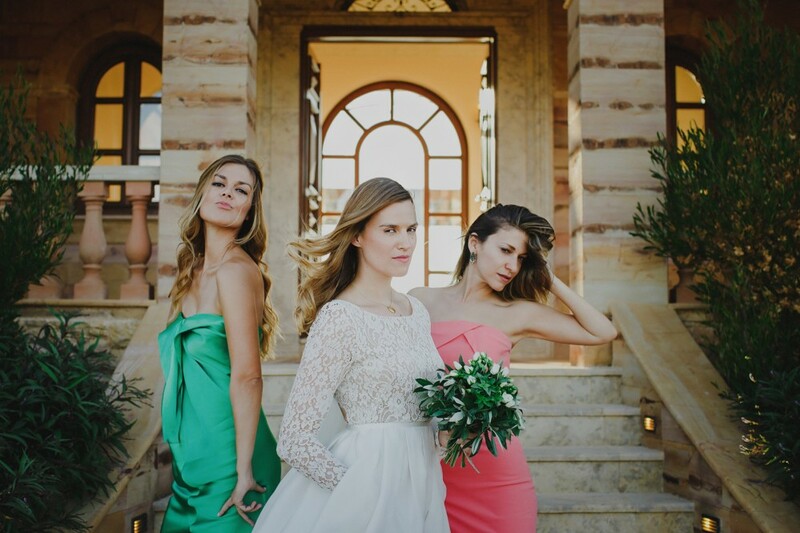 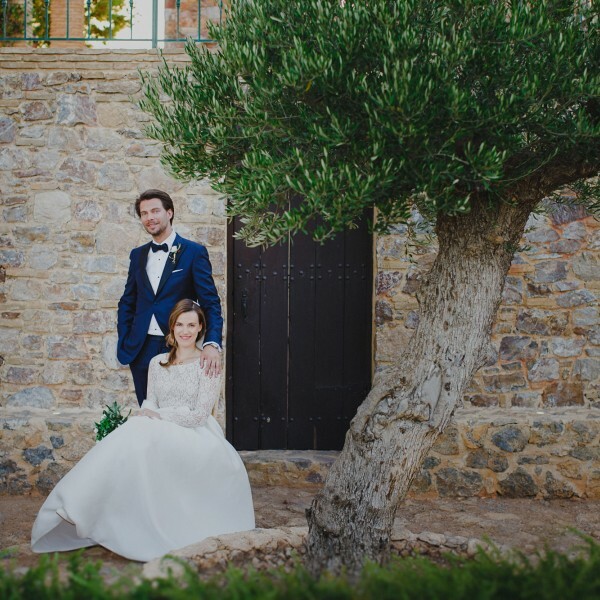 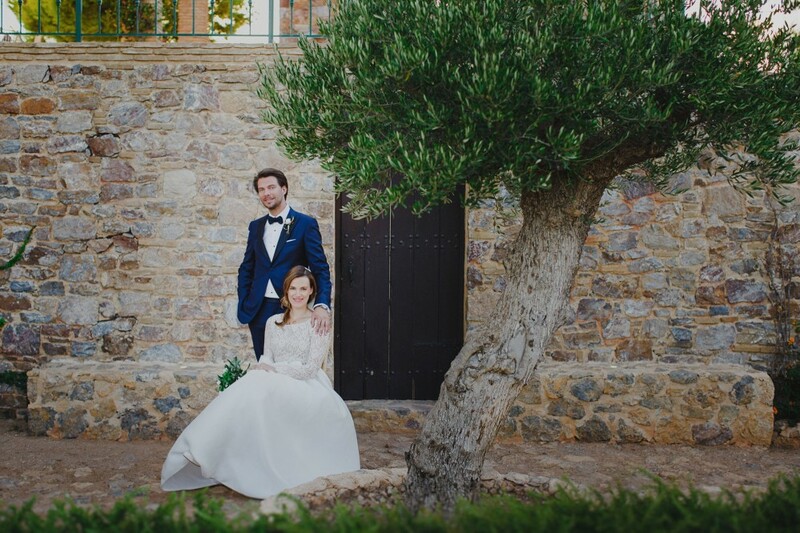 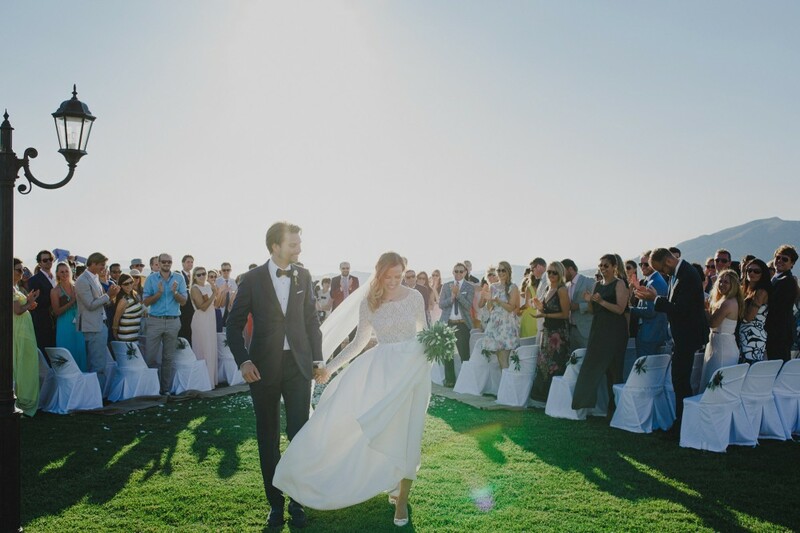 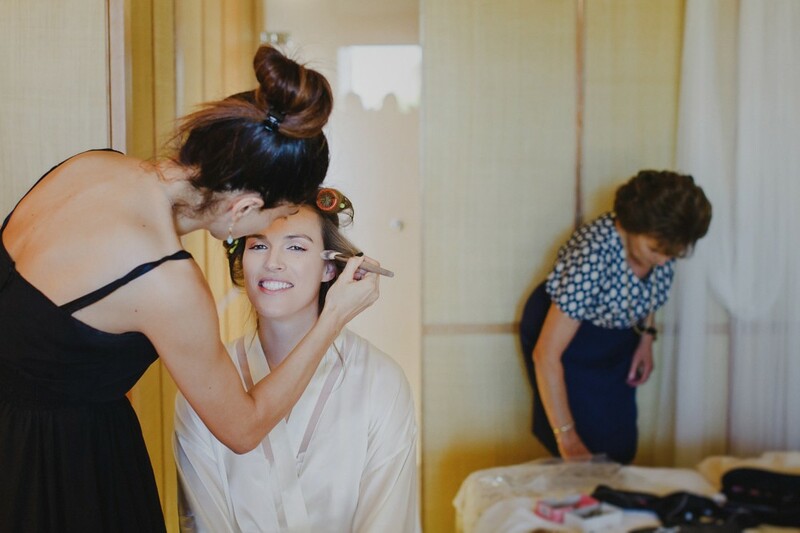 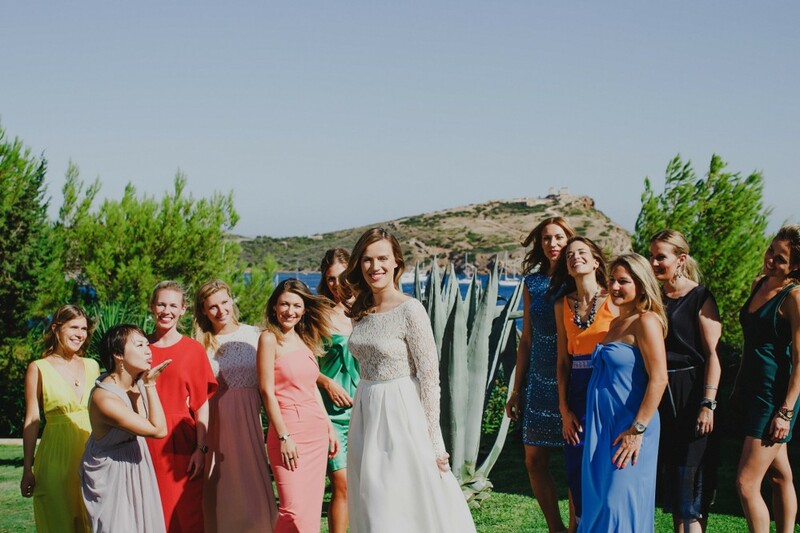 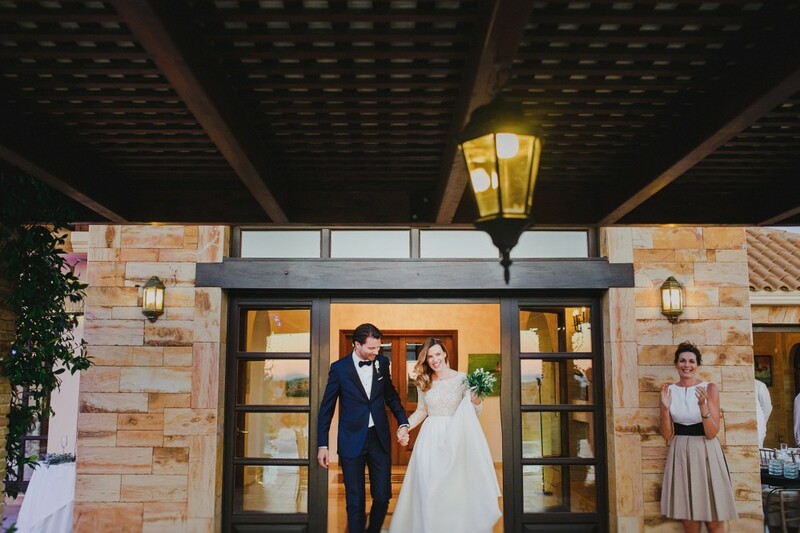 Mary chose a French style gown, designed by Rime Arodaky. 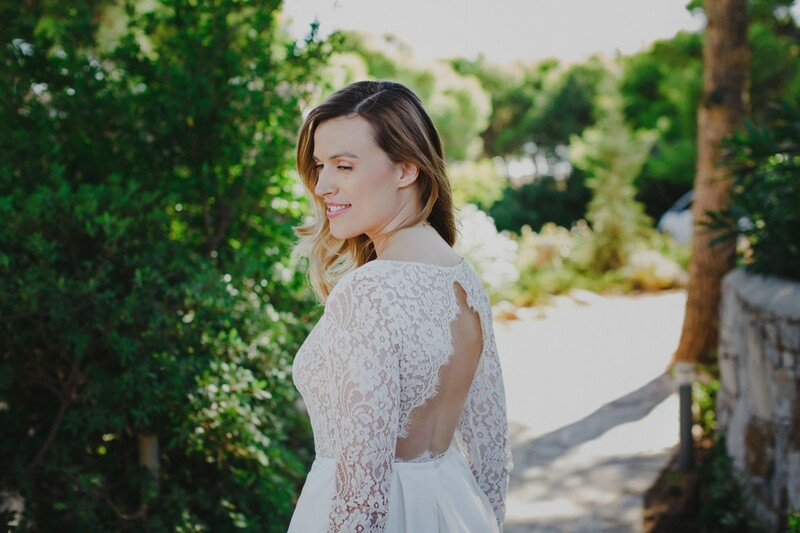 The style of the dress masterfully combined the finesse of French lace with a rock-n-roll feel and suited her beautifully. 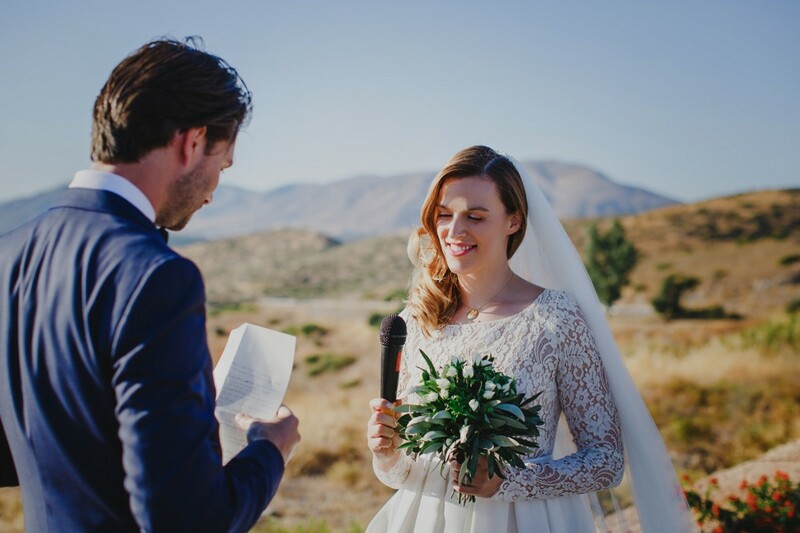 Her bridal bouquet consisted of olive twigs and white mini roses. 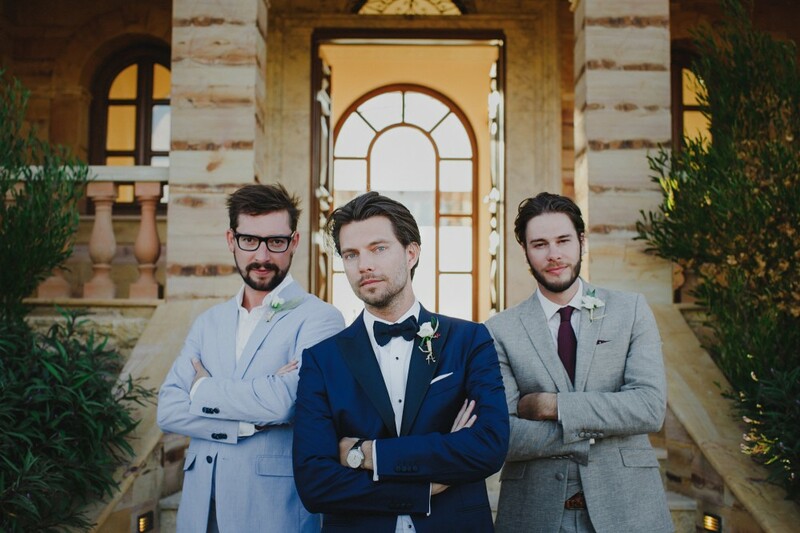 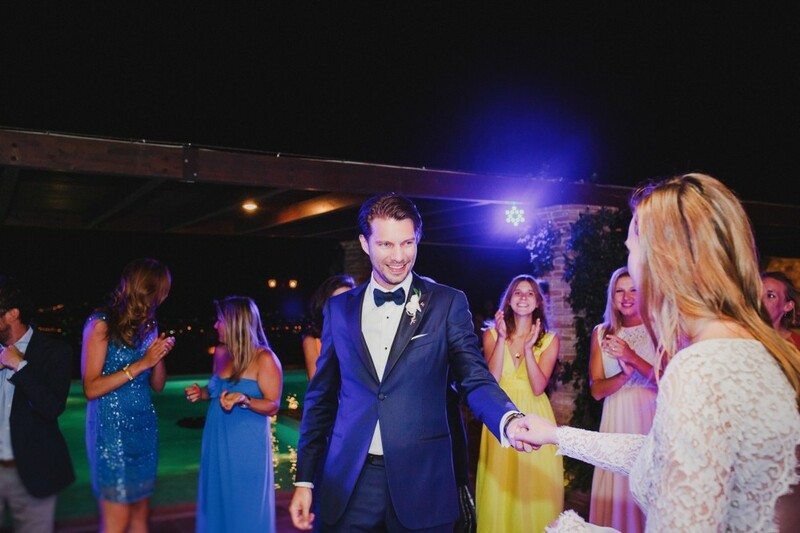 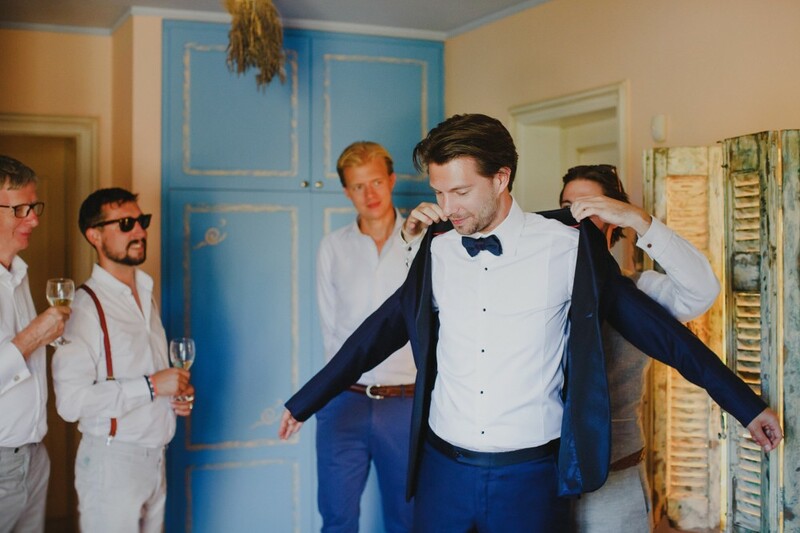 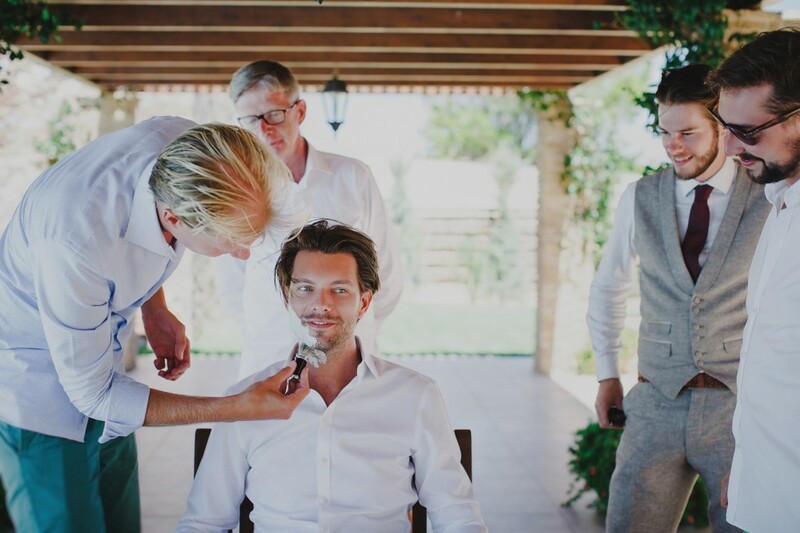 Jan Wicher in his blue linen suit couldn’t have been a better match- the two of them made a gorgeous couple. 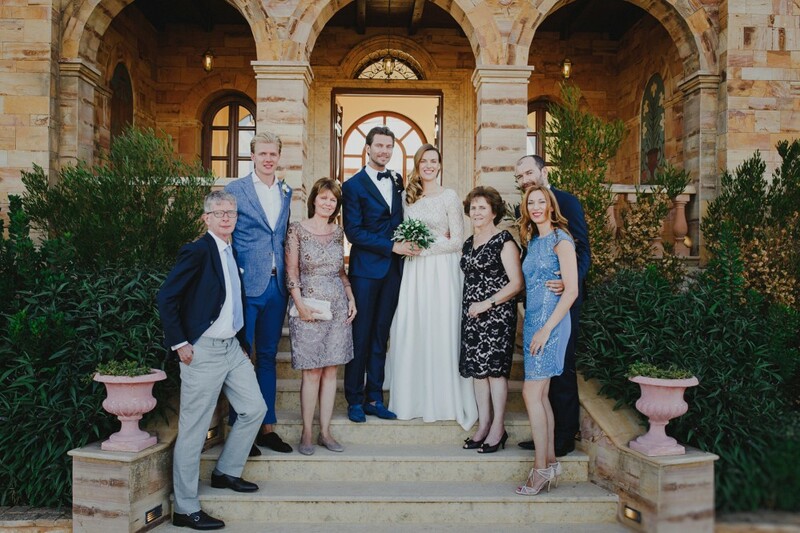 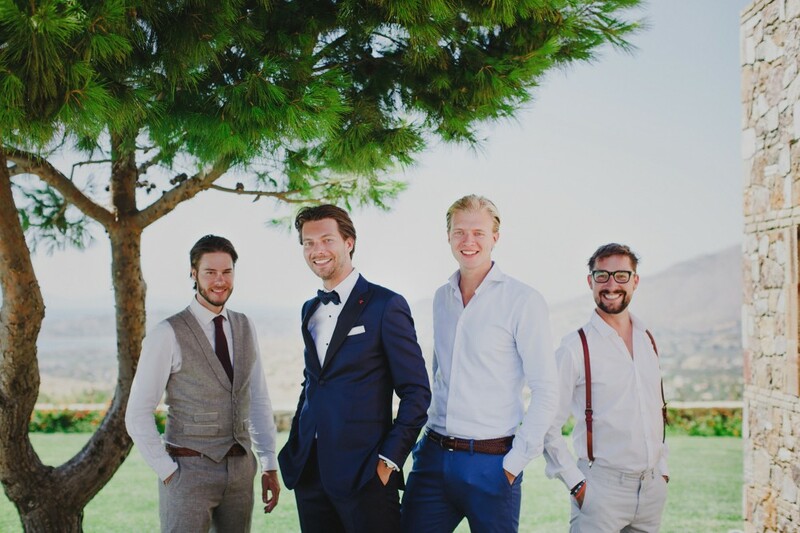 Our team used the terracotta and gold background to take pictures and portraits, oozing with elegance and Greek summer spirit. 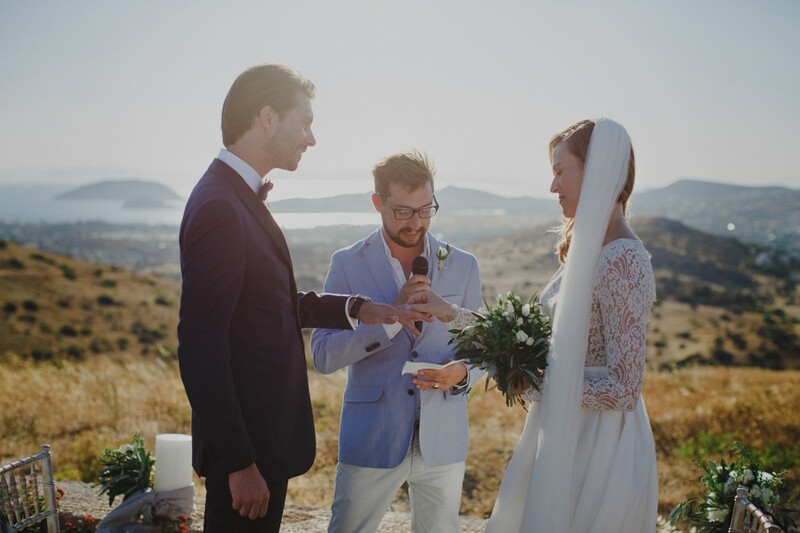 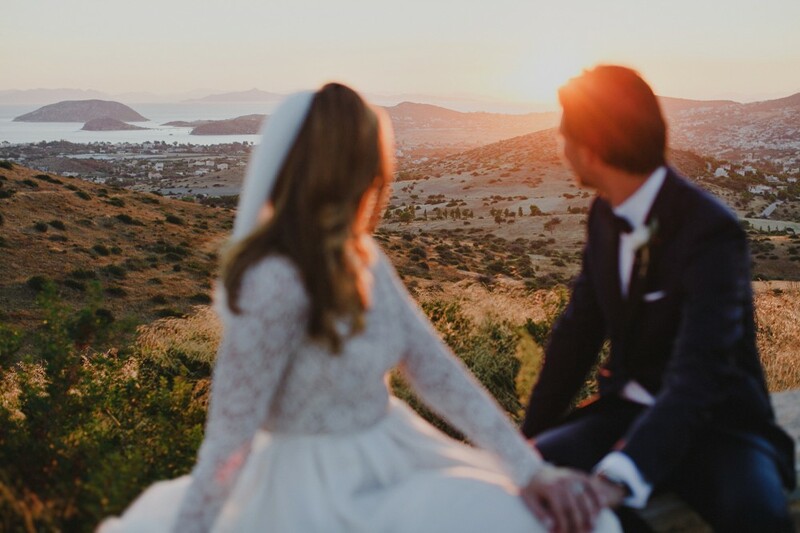 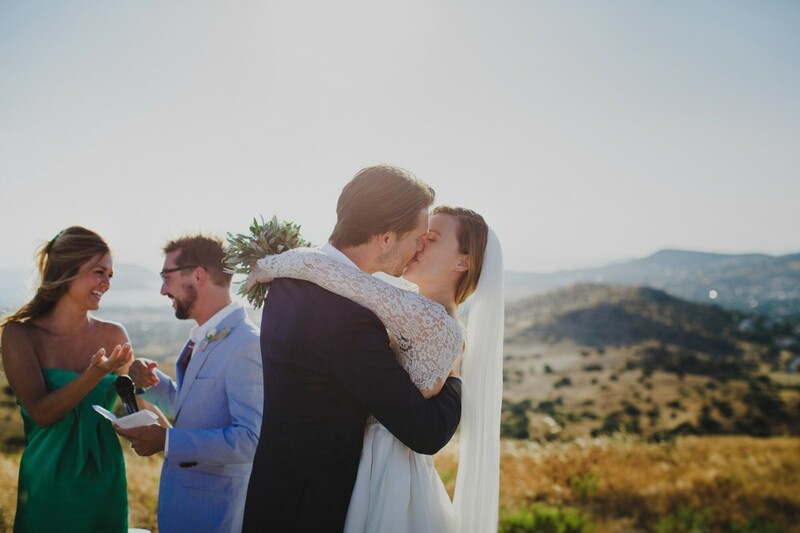 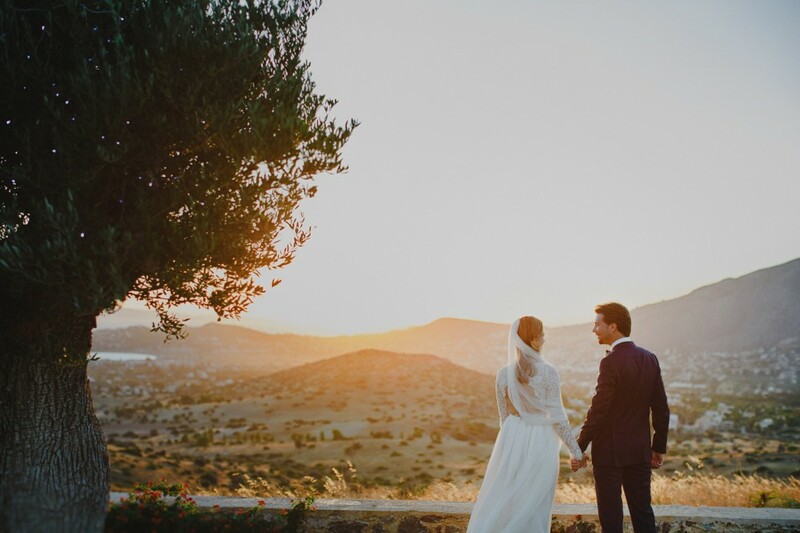 The couple chose to exchange their vows against the bright sunset, a perfect setting for the emotionally charged moment. 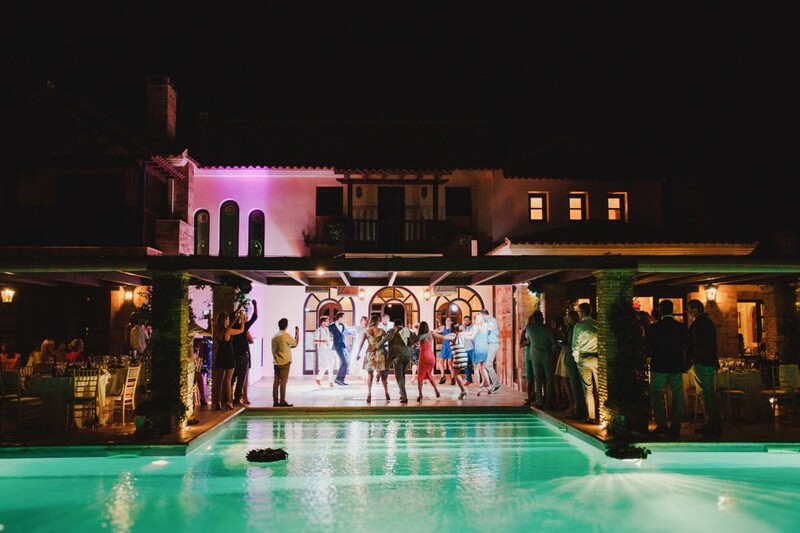 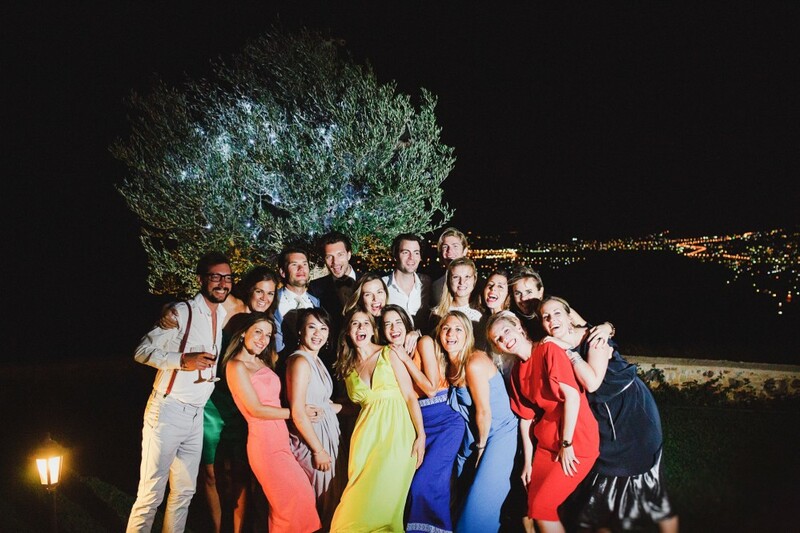 The wedding party kicked off soon after, with guests and couple alike dancing the summer night away, happy and relaxed. 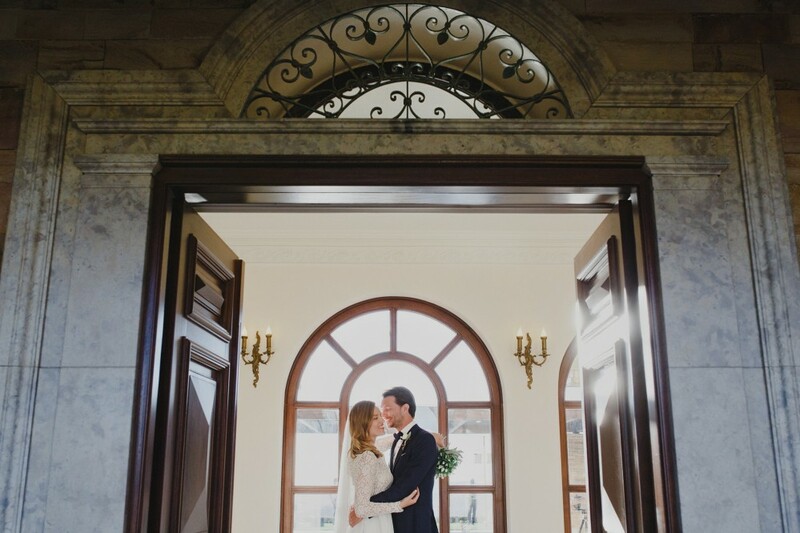 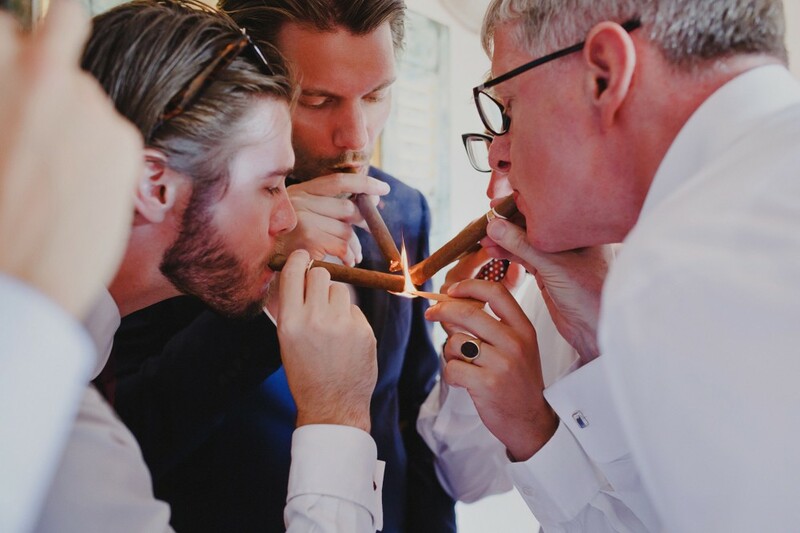 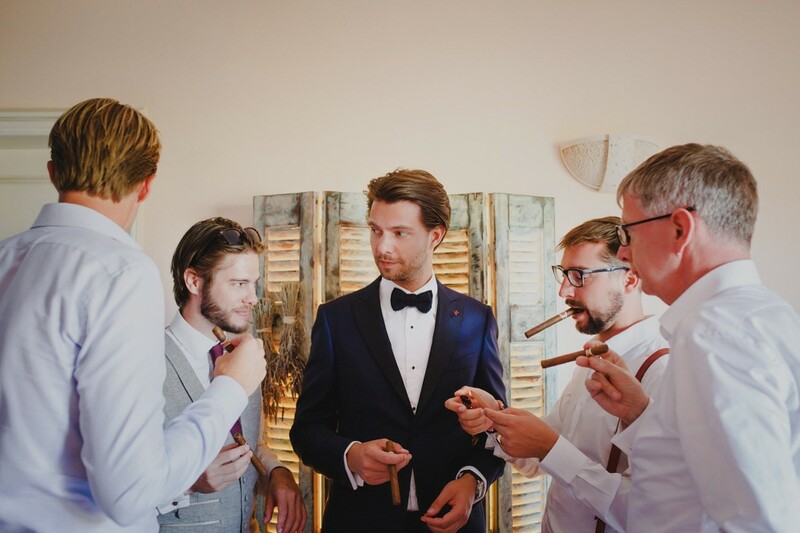 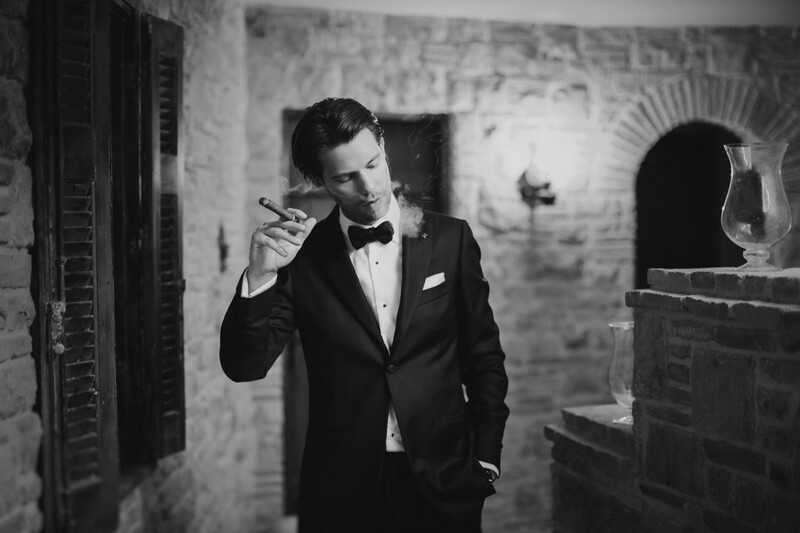 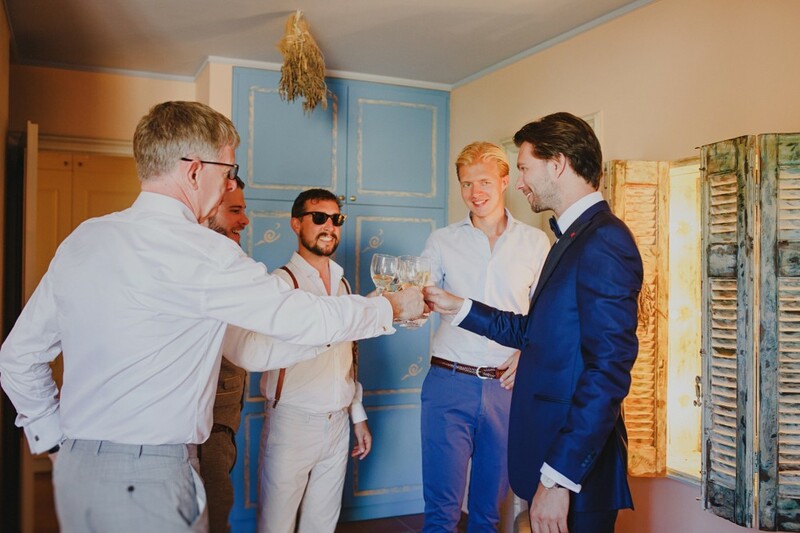 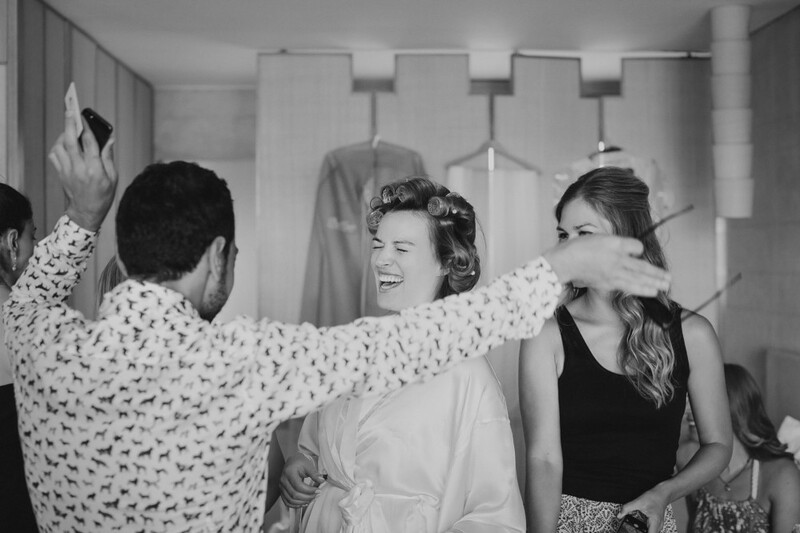 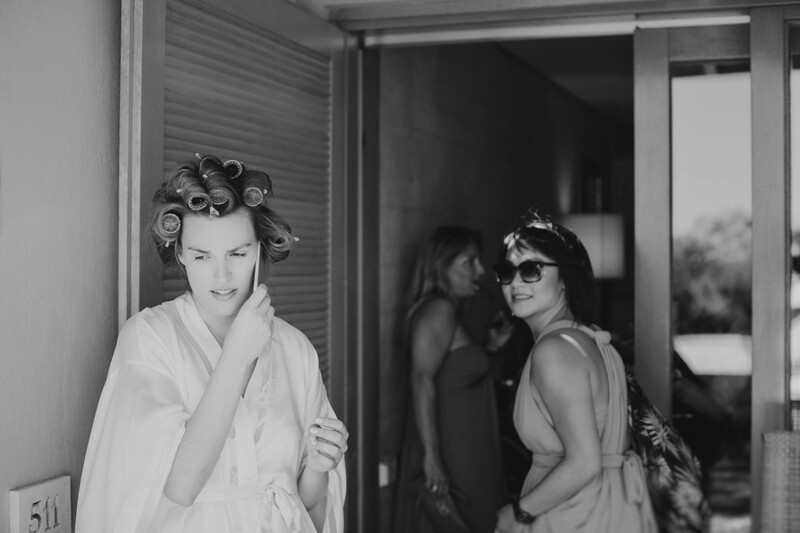 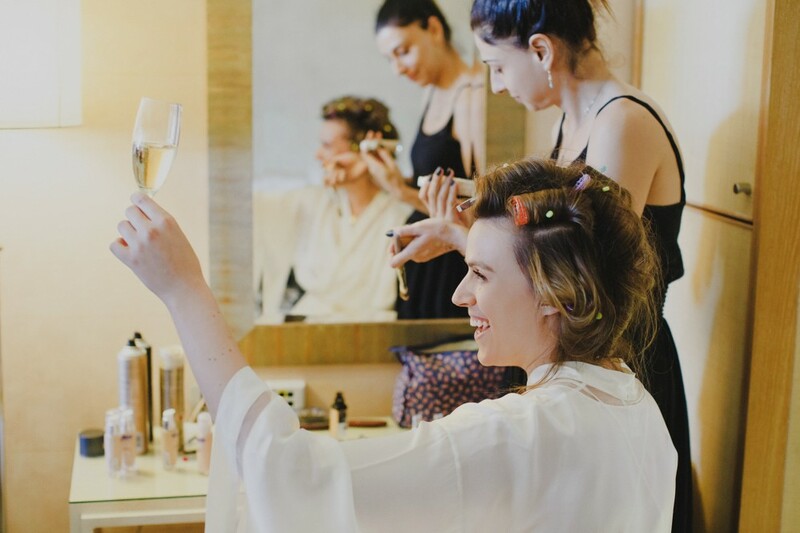 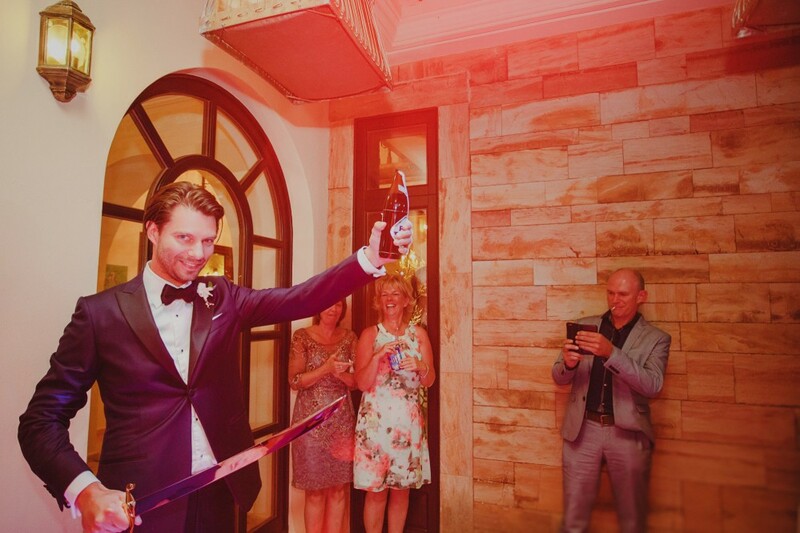 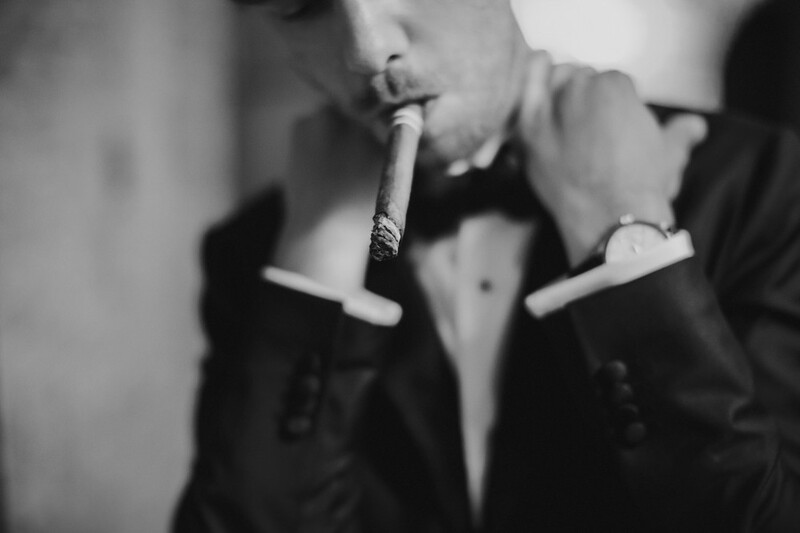 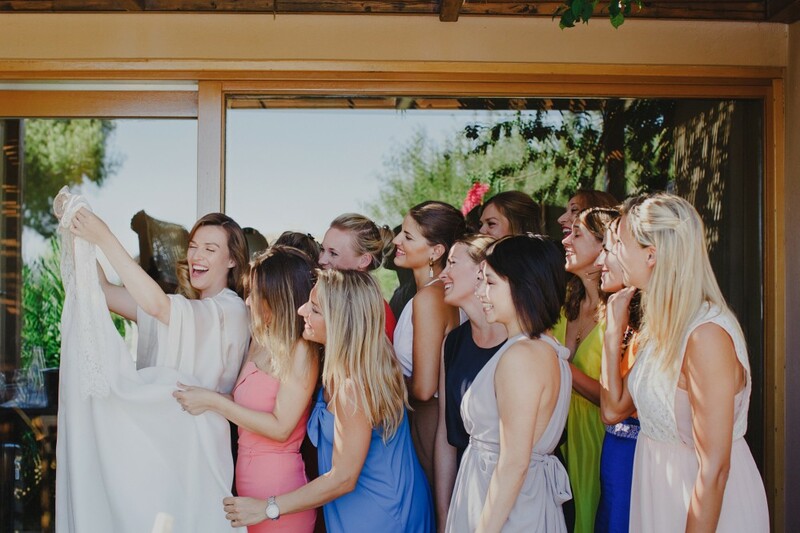 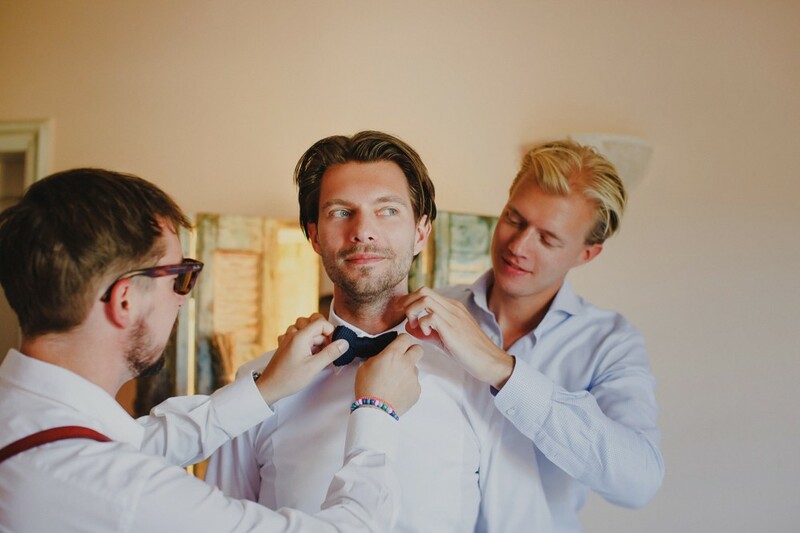 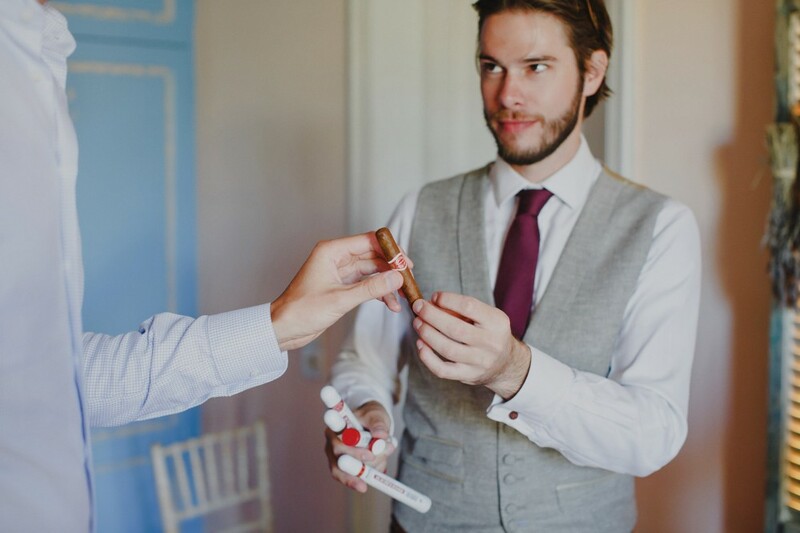 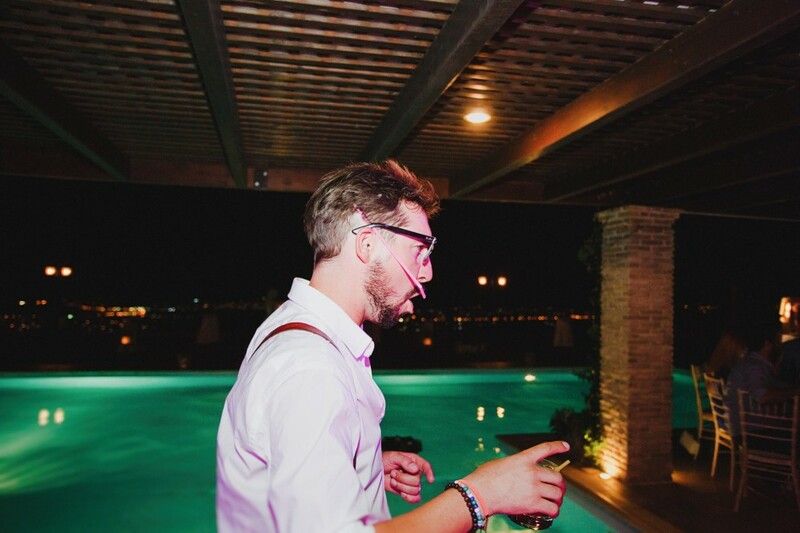 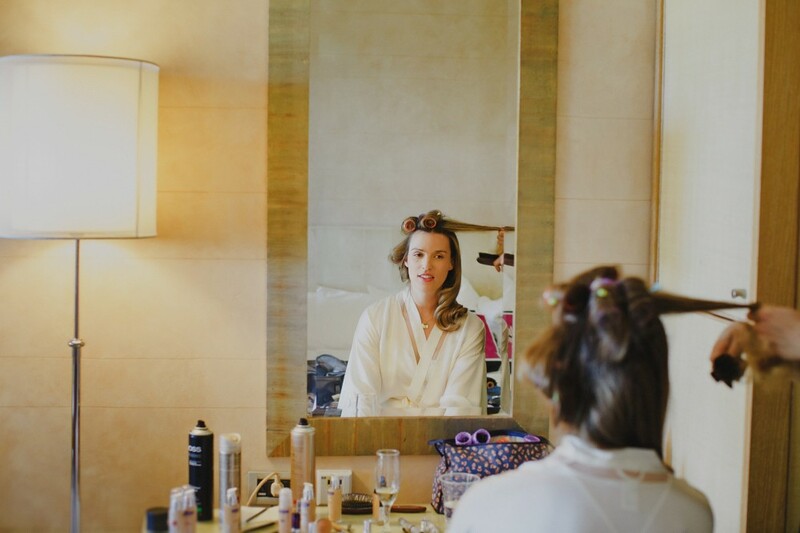 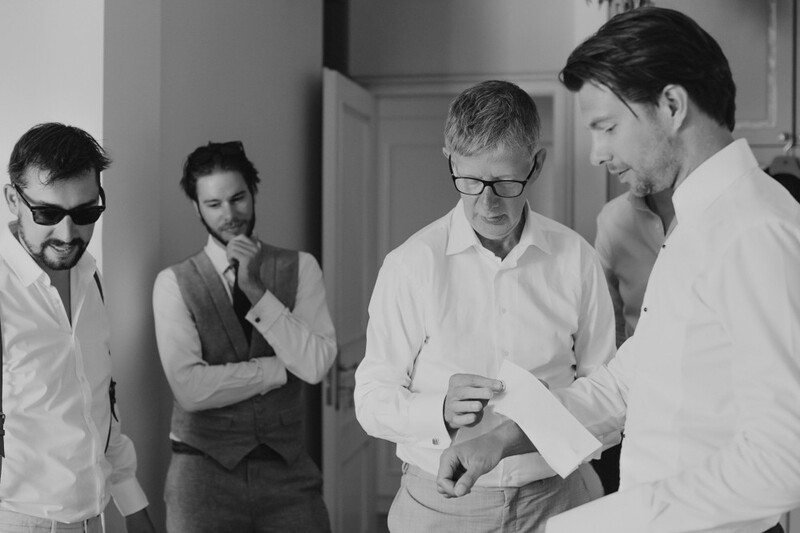 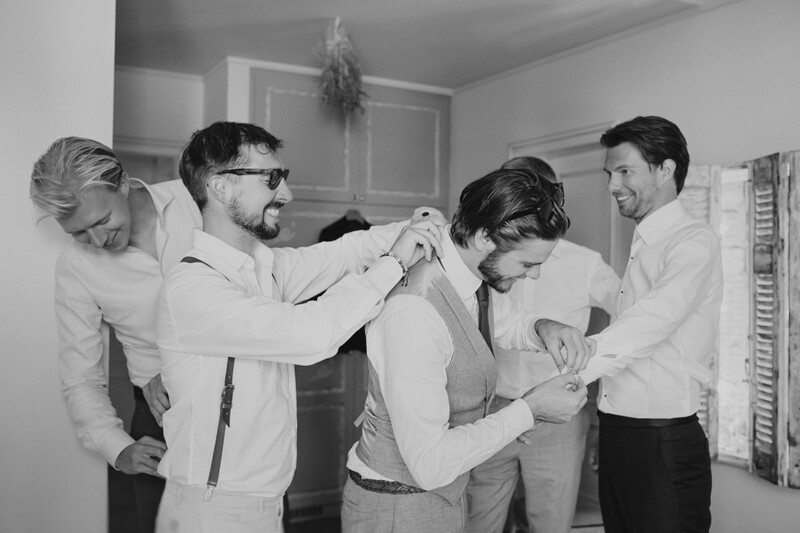 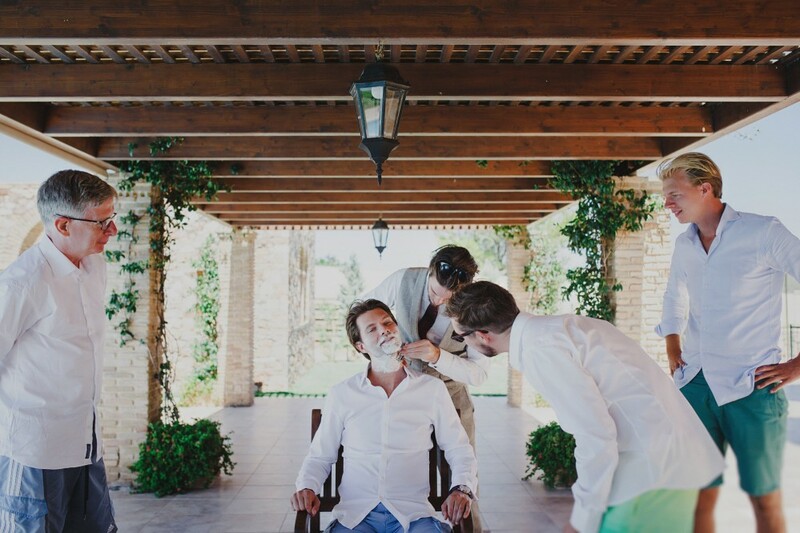 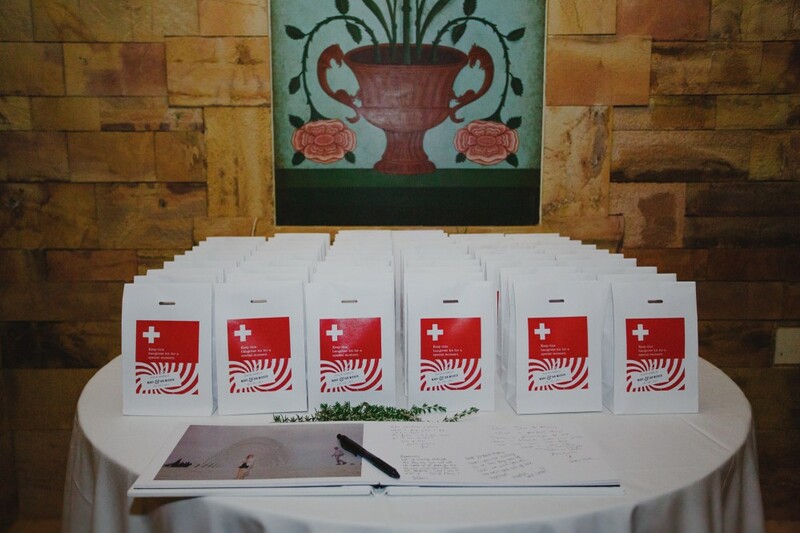 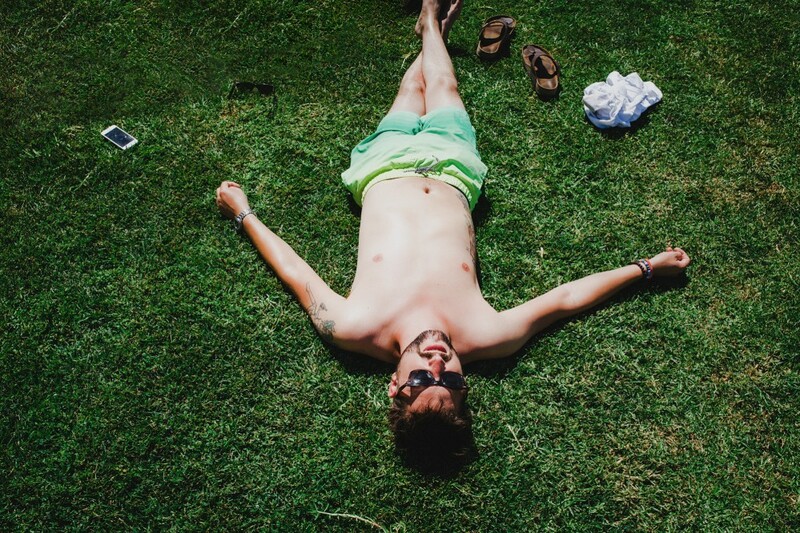 Our team captured all their key moments with gusto, making sure that this day, the emotions and memories never fade.